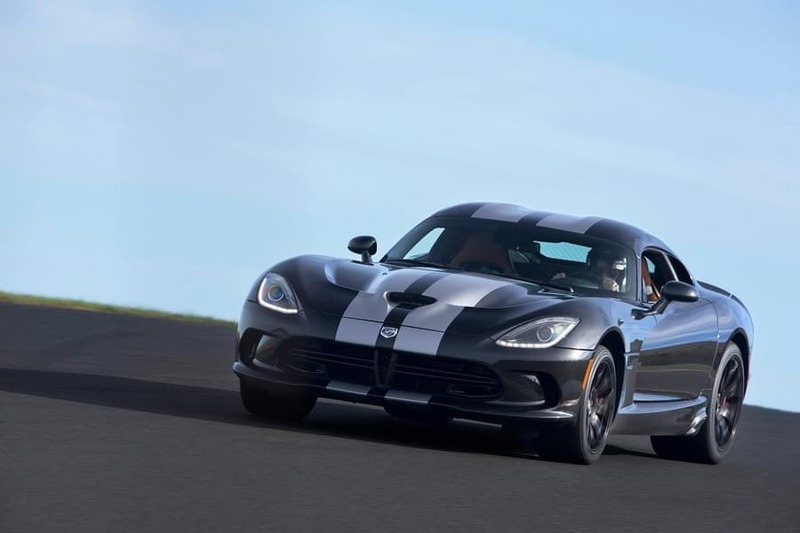 מזה זמן המתנו בסבלות לדוד ג' וייפר החדשה, כעת היא נחשפת במלוא הדרה (ראו גלריה + וידאו). 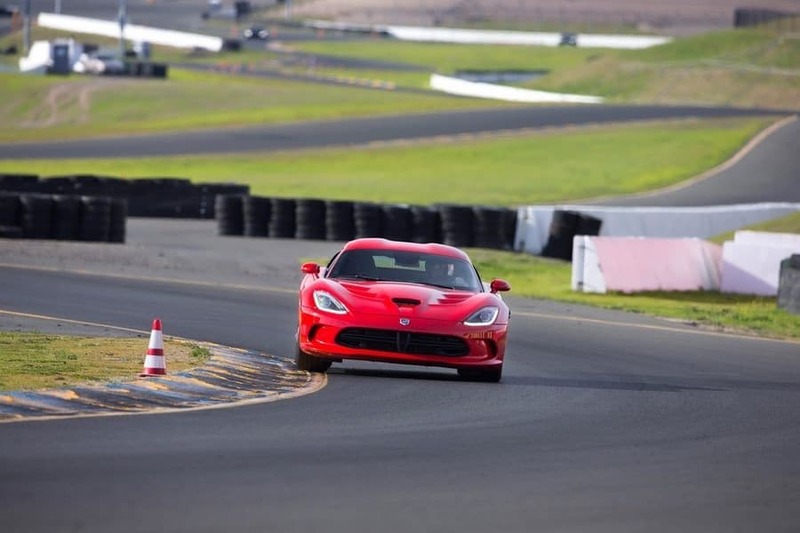 ספורט אלגנט ושפע טכנולוגיה כיאה למכונית מהעידן החדש. 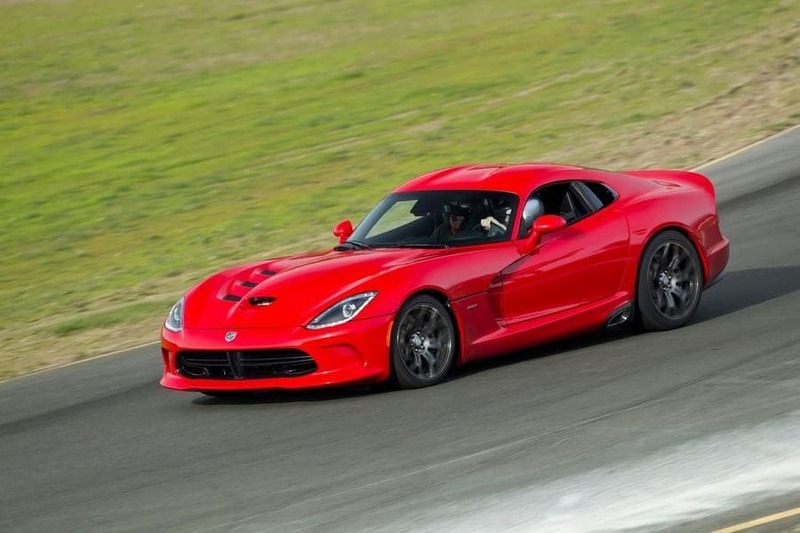 ב SRT הוא בעל 6 זימים , וב GTS (אדום) הוא בעל זוג זימים וכונס אמצעי . 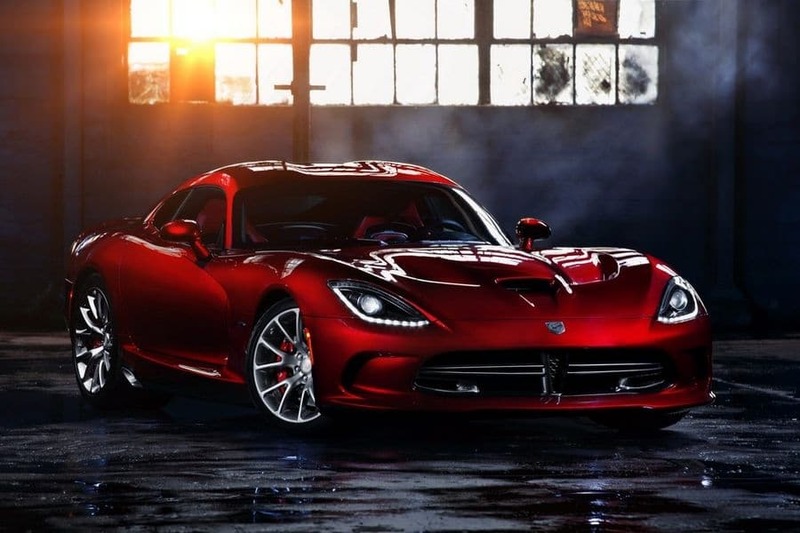 לעיצוב המחודש והשרירי אין צורך להרחיב מבט בגלריה ובוידאו. 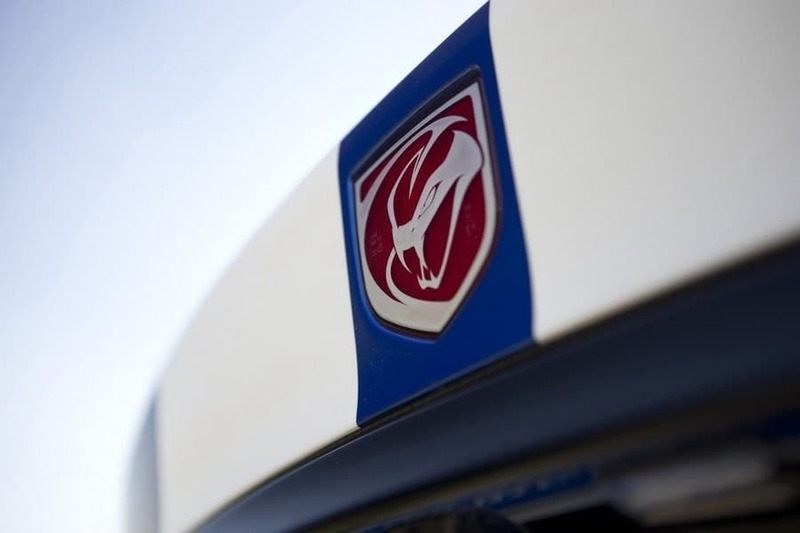 שיאיצו את הוייפר החדשה מ-0-100 קמ"ש תוך 2.9 שניות ועד למהירות מרבית בת 331 קמ"ש. 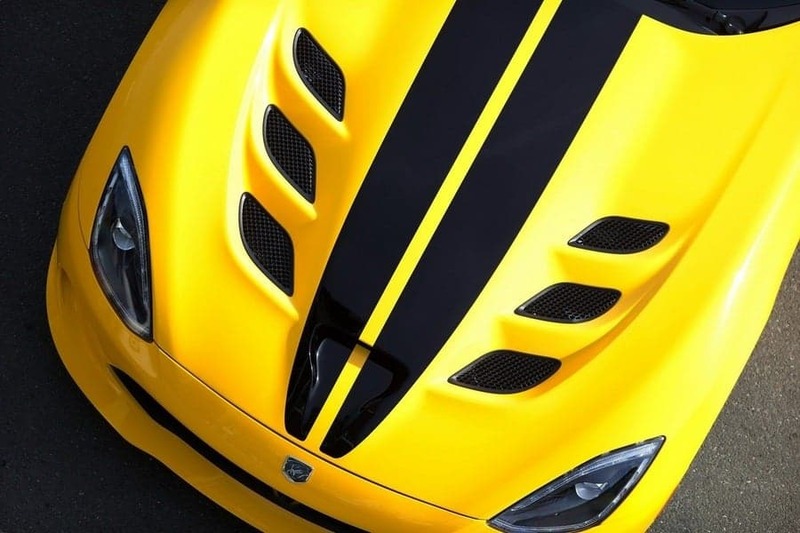 אך מעניין בהחלט מול שברולט קורבטZR1 או קמארו ZL1 . 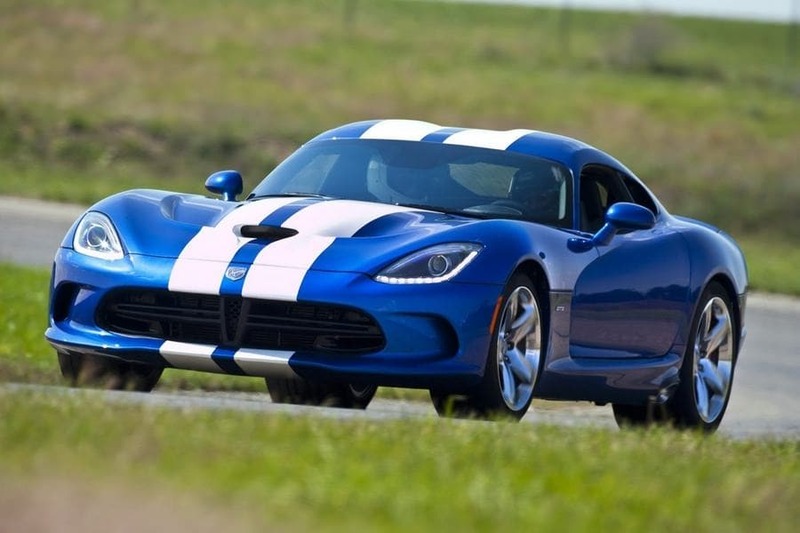 עומד ע"ס 120,395$ ובשקלים 481,580 ₪ . 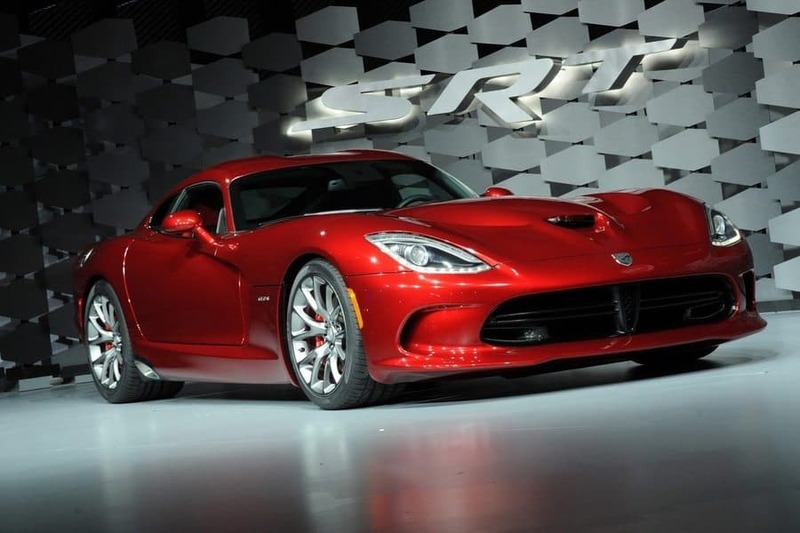 November 21, 2012 , Auburn Hills, Mich. - The all-new 2013 SRT Viper makes its long-awaited return to the high-performance sports-car market flush with new technologies and ergonomic improvements while respecting its legacy of American craftsmanship and visceral performance. 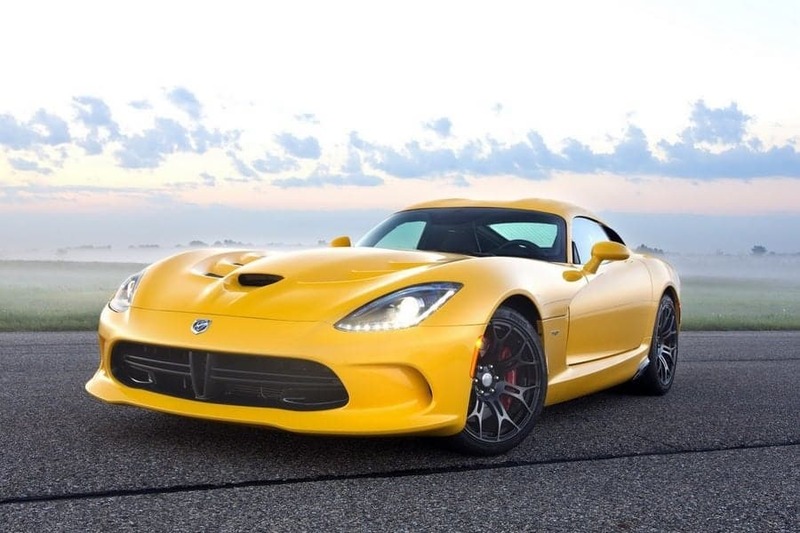 For the 2013 model year, two new models of the iconic supercar will be hand-built at the Conner Avenue Assembly Plant in Detroit – the Viper’s home since 1995. 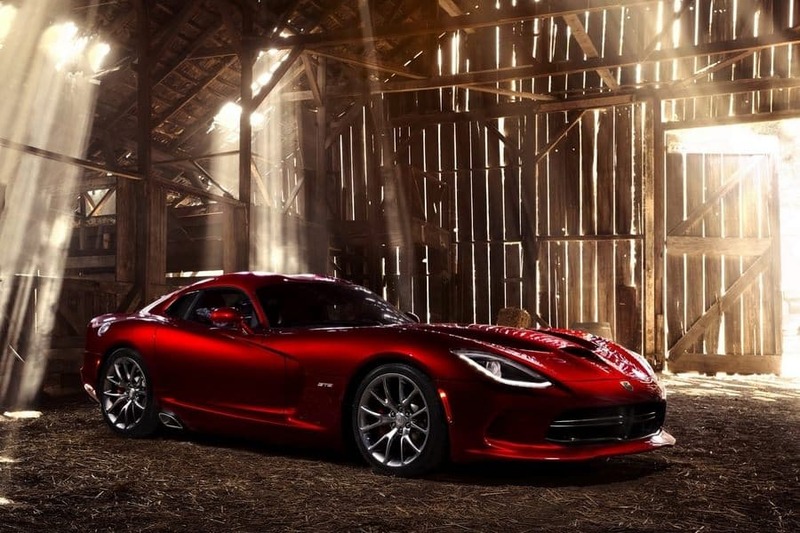 Both SRT Viper and SRT Viper GTS models offer new interior and exterior designs incorporating premium materials and new exterior surfaces with aerodynamically functional details that are beautifully integrated into the high-tech carbon fiber and aluminum skin. 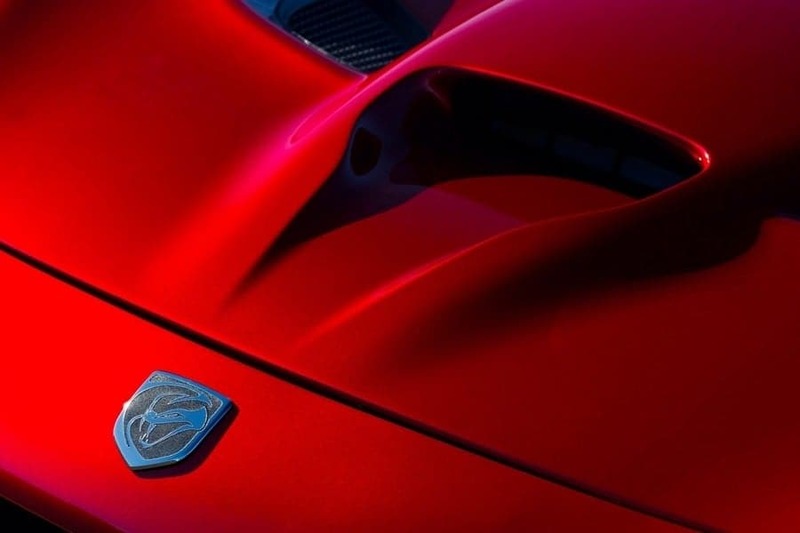 On the inside, designers and engineers strived to rethink all its touch points and upgrade all its material appointments and technologies. 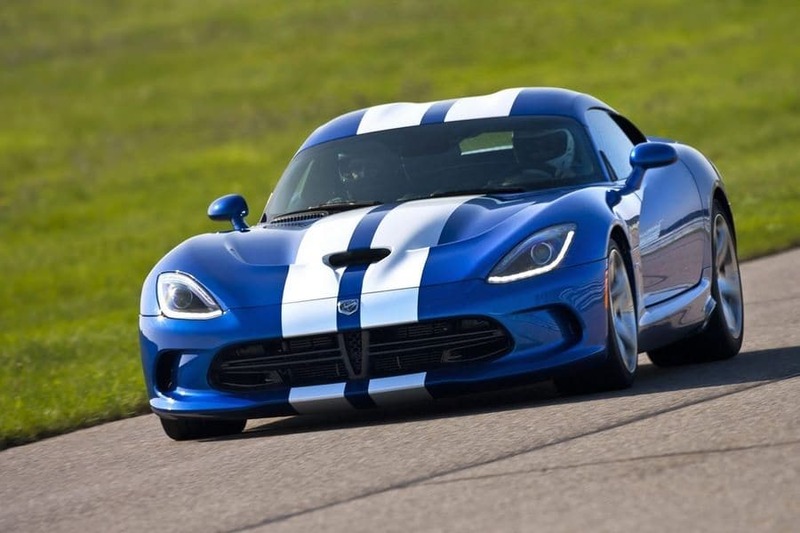 The SRT Viper GTS builds on the DNA of the SRT Viper model with more technologically advanced solutions, like its driver-selectable two-mode suspension system that allows this world-class car to find new limits on the track while also opening up its envelope as a more mature evolution of the classic, extreme performance formula. 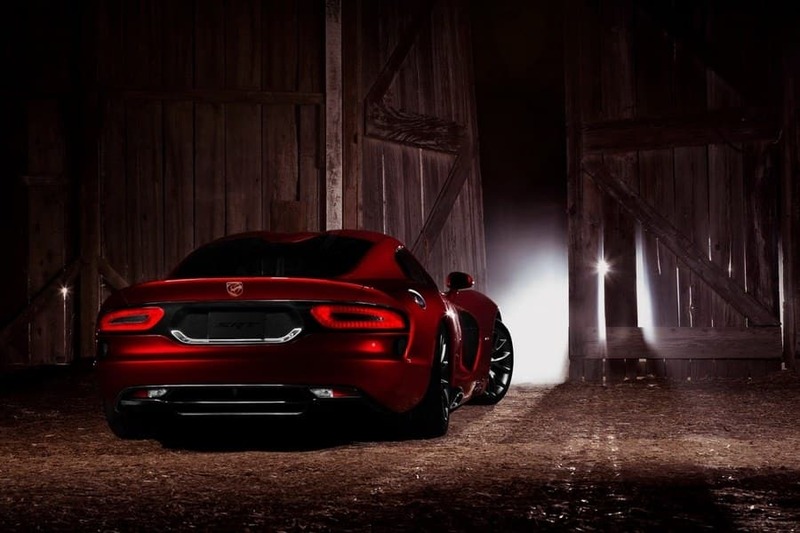 Designed and built with premium features and materials inside and out, the Viper GTS will compete with the best performance vehicles in the world – and do so with a wide range of creature comforts, advanced drivetrain and interior technologies. 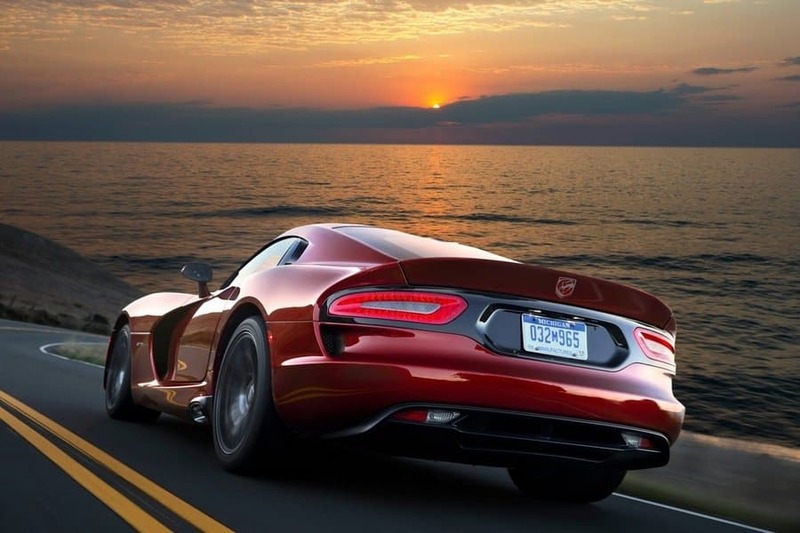 The heart and soul of the 2013 SRT Viper is its venerable, handcrafted, all-aluminum 8.4-liter, mid-front V-10 overhead-valve engine. 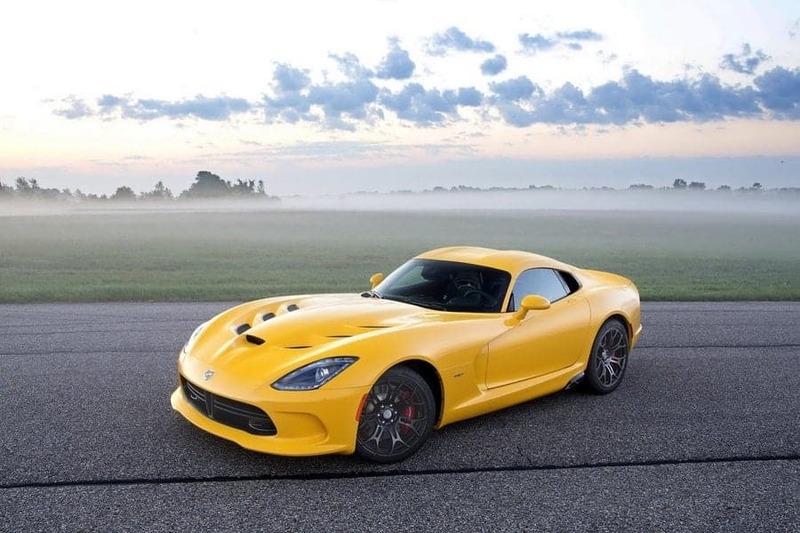 Improvements for 2013 include an ultra-high-flow, lightweight composite intake manifold; high-strength, forged pistons; sodium-filled exhaust valves; new catalysts to ease backpressure and an aluminum flywheel that reduces reciprocating losses. 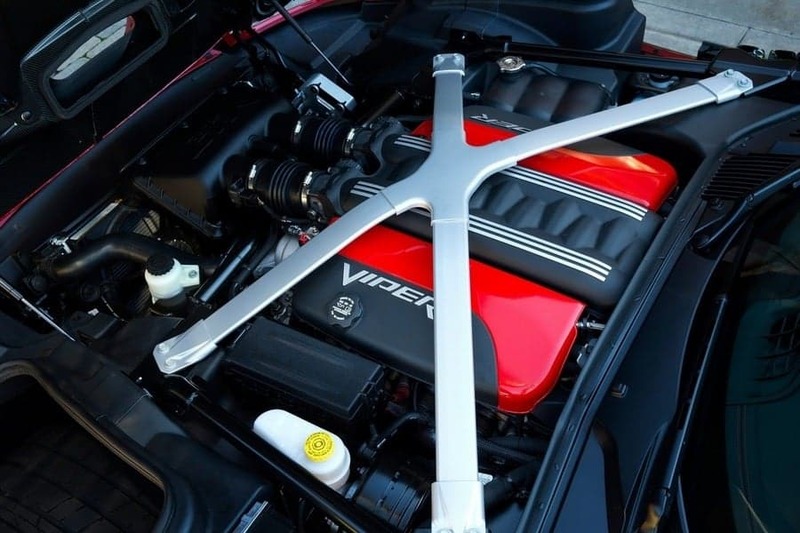 Approximately 25 pounds have been shaved from the fully dressed engine. 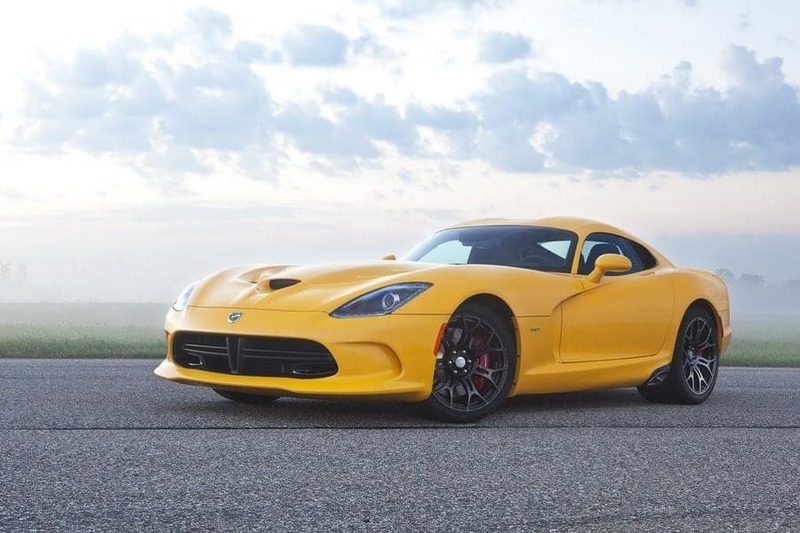 Performance ratings for the SRT-engineered V-10 Viper are 640 horsepower and 600 lb.-ft. of torque – the most torque of any naturally aspirated sports-car engine in the world. 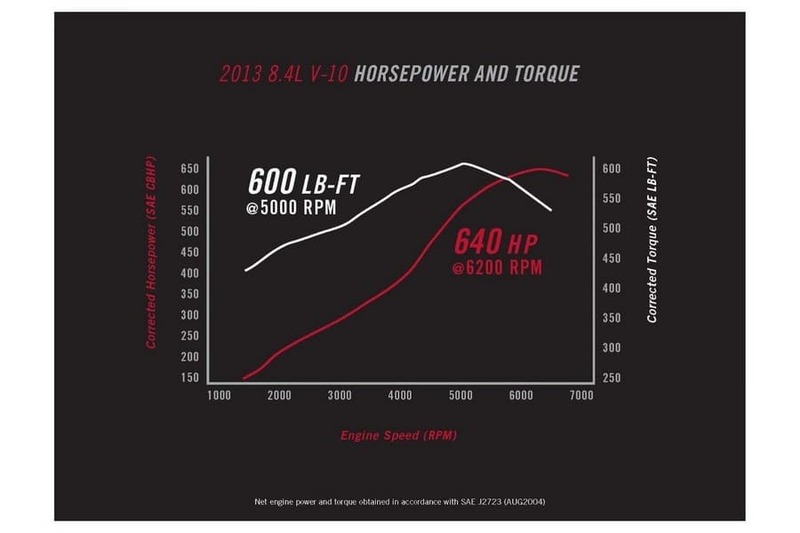 The Tremec TR6060 six-speed manual transmission has been improved with closer gear ratios and a final drive ratio that has been shortened to 3.55 from 3.07. 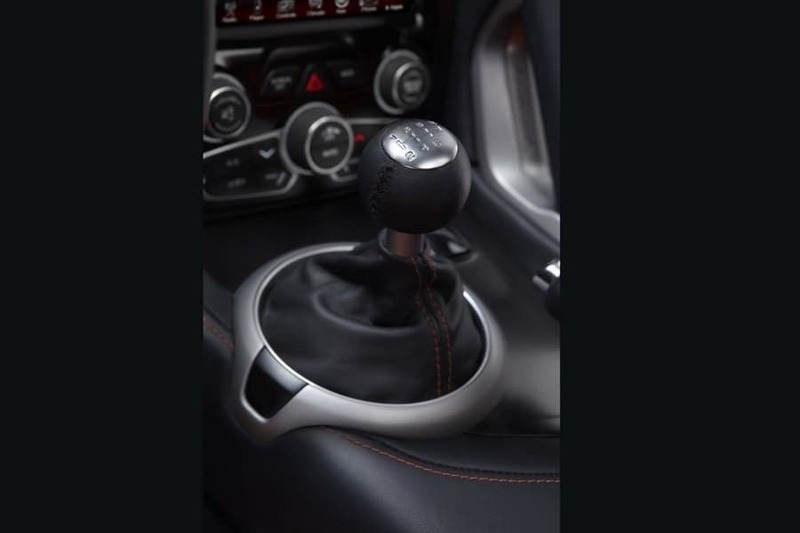 The shifter throw also is shorter. 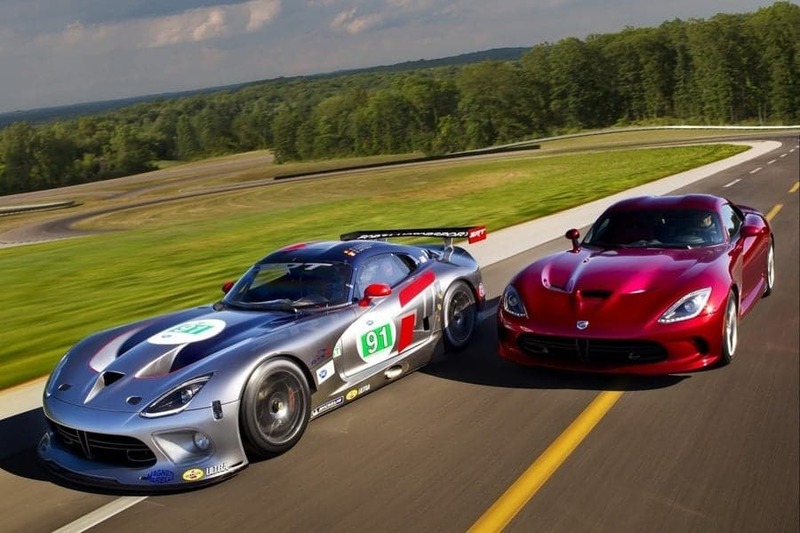 As a result, the 2013 Viper models will be more engaging to drive. 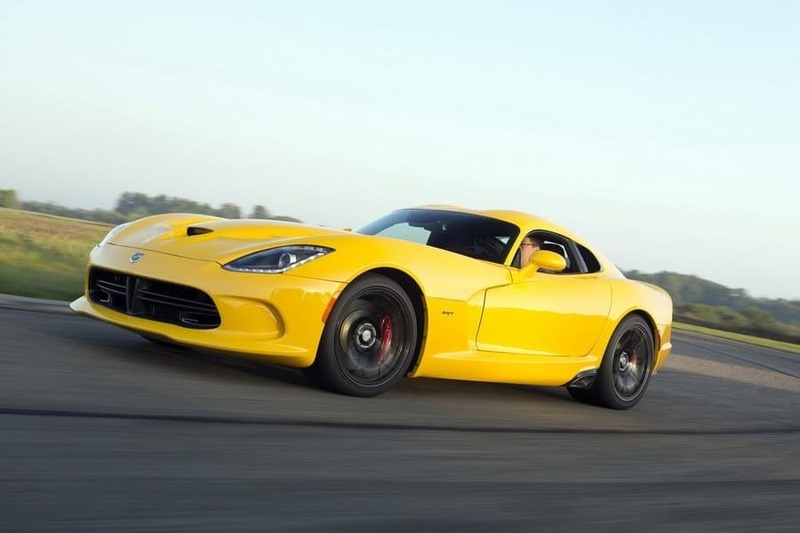 Its top speed of 206 mph is now achieved through 6th gear with maximum engine speed (redline) at 6,200 rpm. 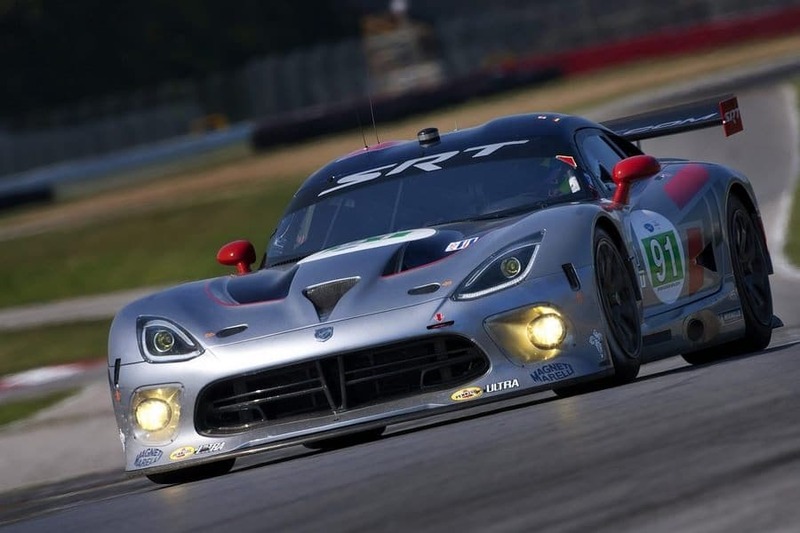 Starting with a stiffer structure that provides 50 percent more torsional rigidity, the 2013 SRT Viper chassis benefits from numerous enhancements – many learned through racing efforts with Viper GTS-R and Competition Coupe models. 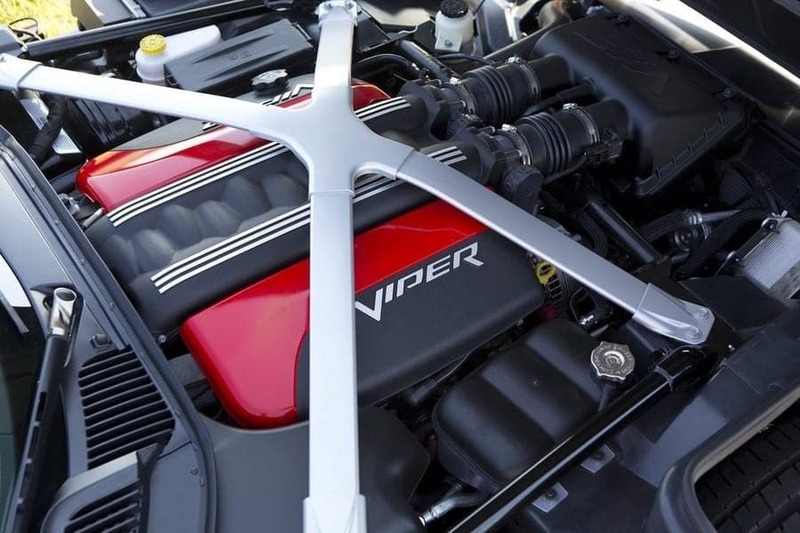 Major upgrades include the addition of a new aluminum x-brace under the hood that ties the suspension pickup points to the magnesium cowl super casting. 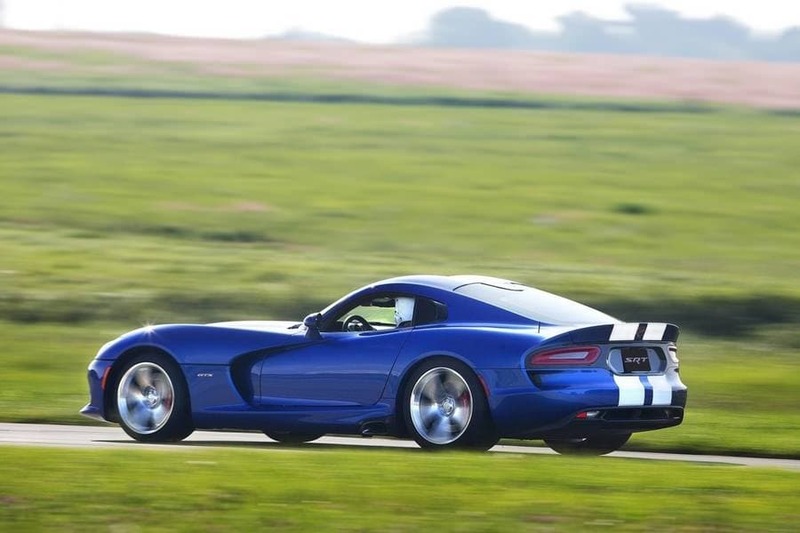 This benefits torsional rigidity and stiffness. 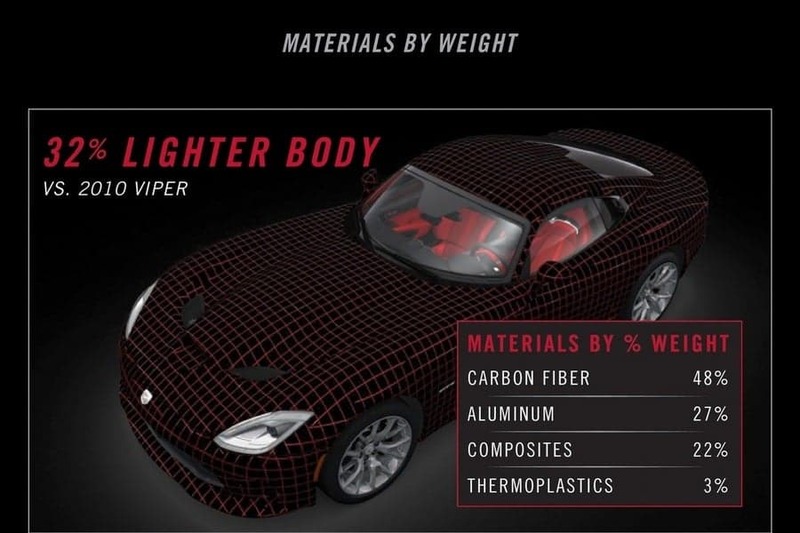 A new aluminum impact beam at the front of the car contributes to overall mass savings and improved weight distribution, while providing excellent crashworthiness. 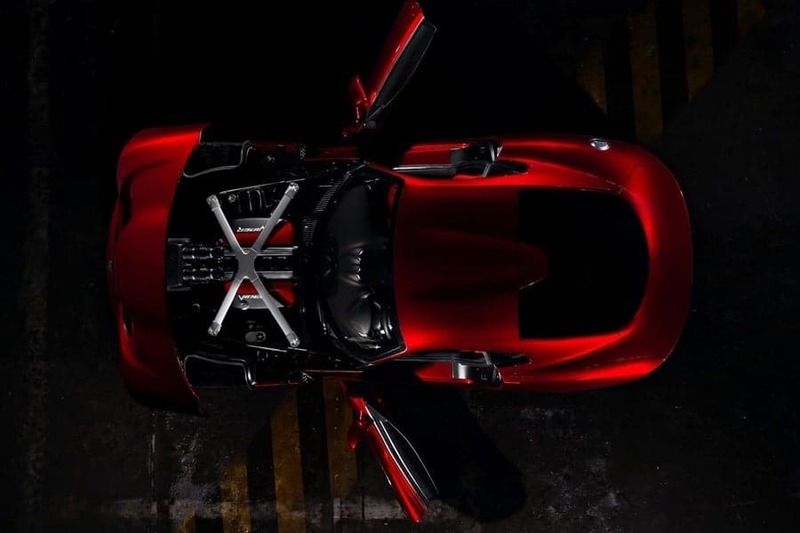 Structurally, many chassis components were reworked to take advantage of new materials able to accommodate reduced thickness and complex shapes without compromising structural rigidity. 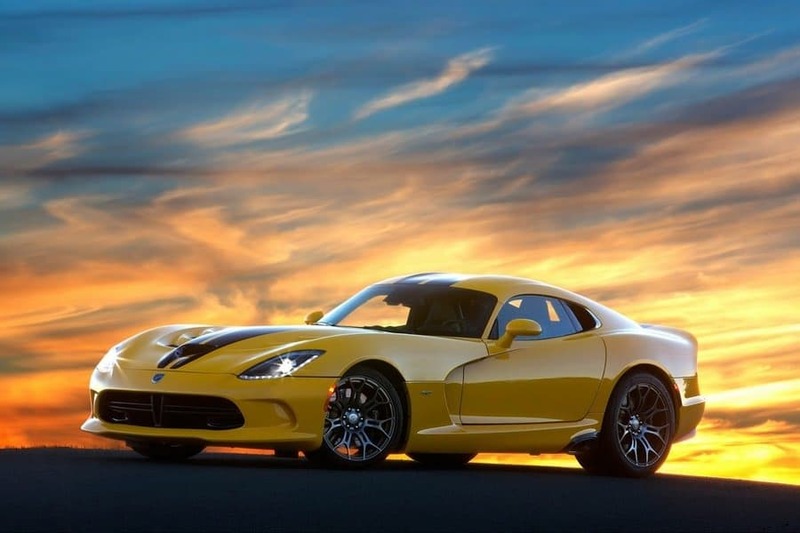 The result is an overall weight savings of approximately 100 pounds. 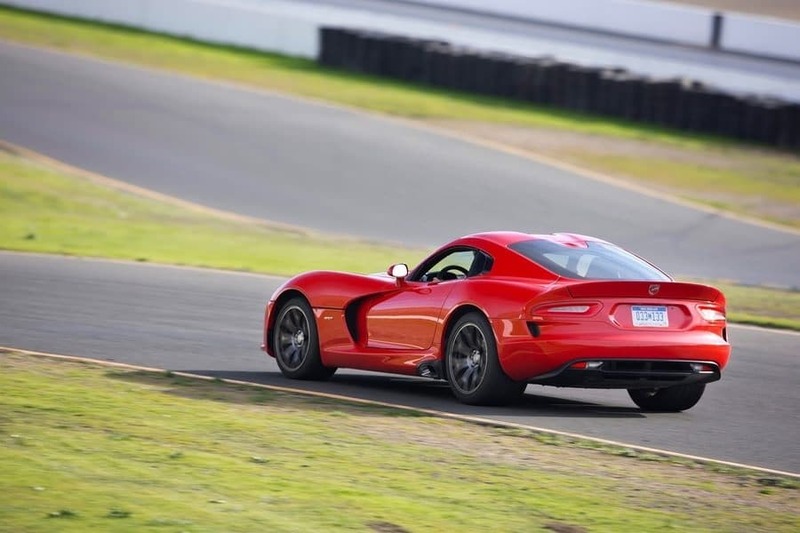 For 2013, SRT Viper models ride on standard Pirelli P Zero, Z-rated tires with substantially improved overall response, cold-weather performance, and enhanced grip and steering feel, regardless of road surface – while also broadening the performance envelope. 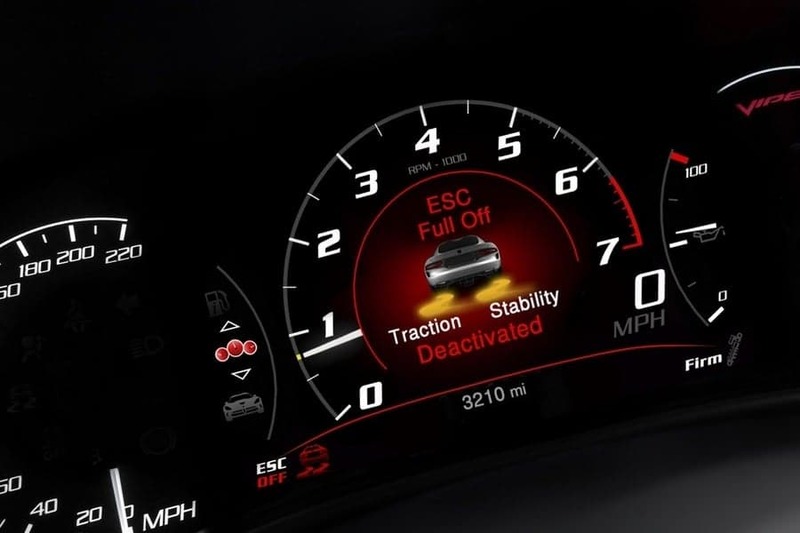 For the first time, standard safety technologies such as electronic multistage stability control and traction control help to maximize traction performance at virtually any speed and driving environment. 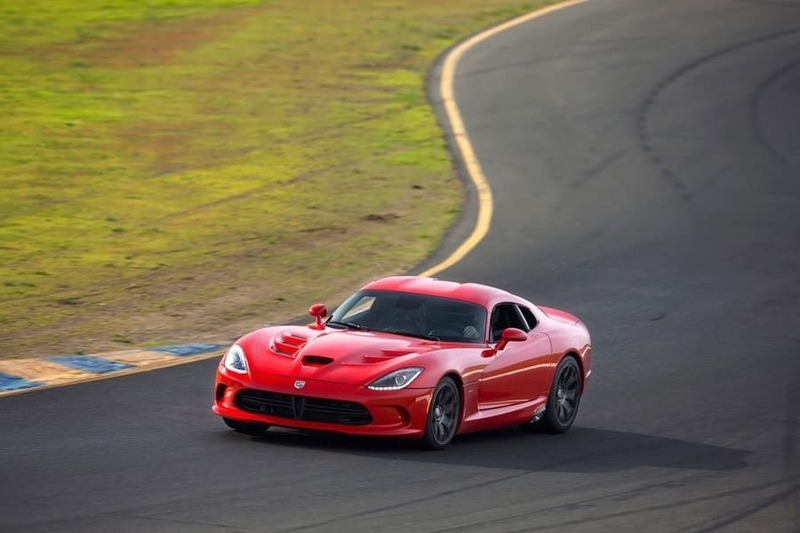 While every SRT Viper leaves the factory floor ready to take on any on-road or on-track challenge, the available Track Package further enhances its capability by elevating at-limit performance. 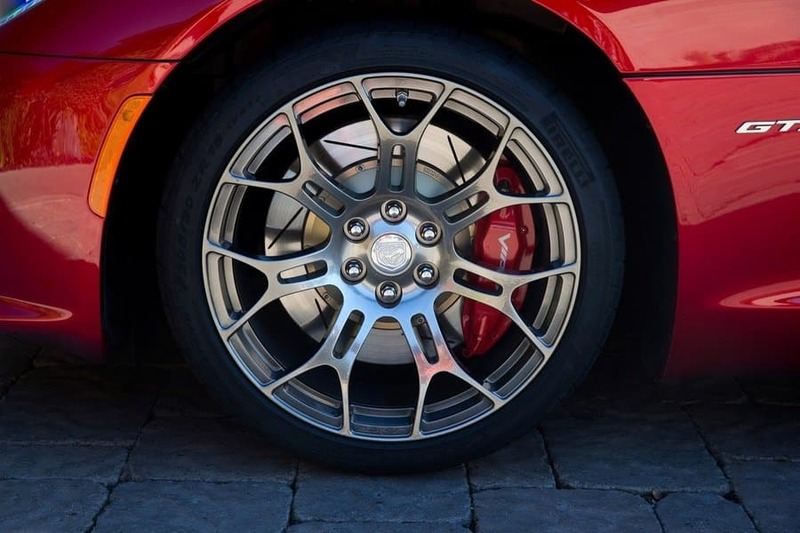 Slotted two-piece lightweight rotors from StopTech replace the original equipment, while ultra-lightweight multi-spoke Sidewinder II wheels wrapped in high-performance Pirelli P Zero Corsa "racing-type" compound tires further reduce unsprung weight at all four corners. 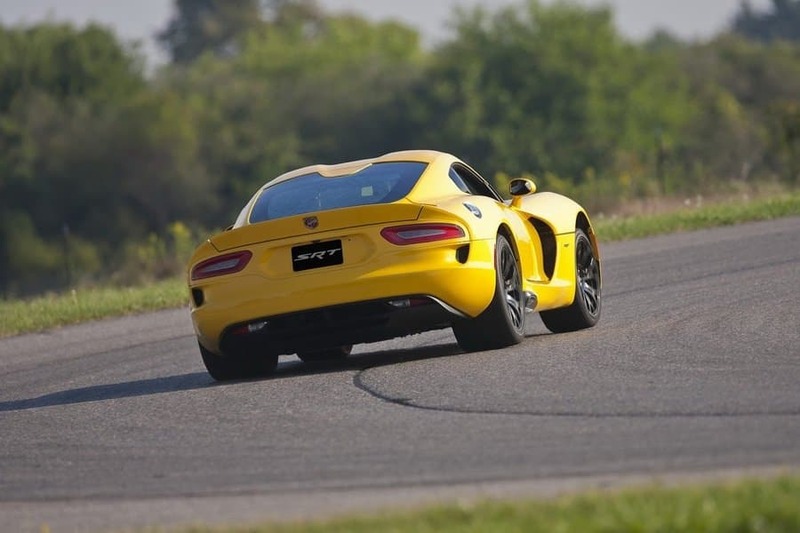 Selecting the Track Package also slices 57 pounds from the vehicle’s curb weight. 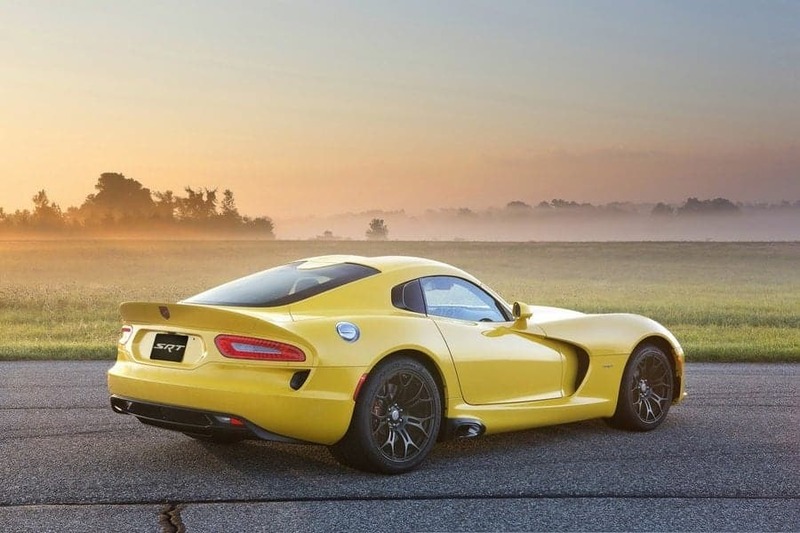 All 2013 Viper models will come with a steering-wheel-mounted launch-control switch, allowing for optimal acceleration from standing starts. 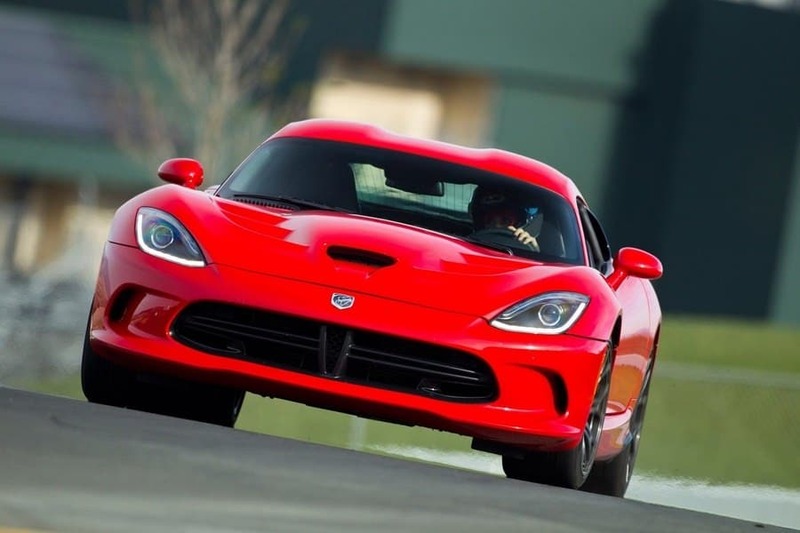 Brake performance for the 2013 SRT Viper is engineered to provide shorter stopping distances, better modulation, improved durability and balanced brake performance without fading under extreme conditions. 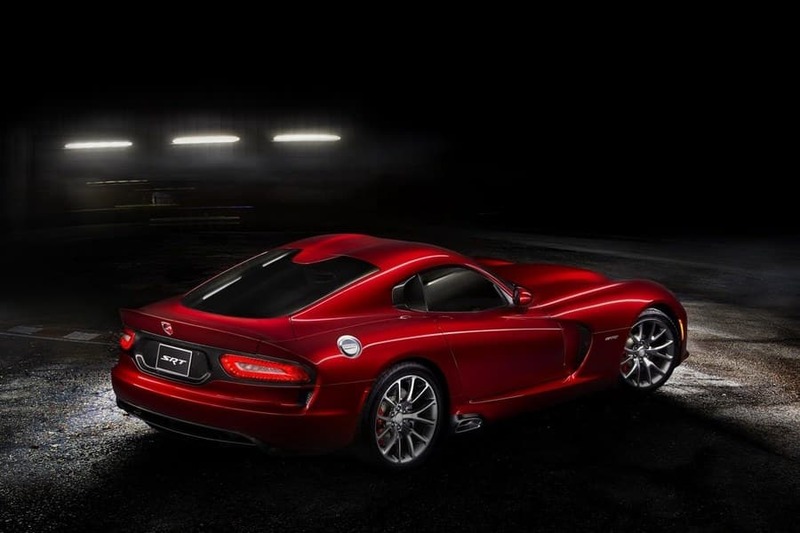 The all-new, driver-oriented interior cabins of the SRT Viper models have been totally revamped for 2013. 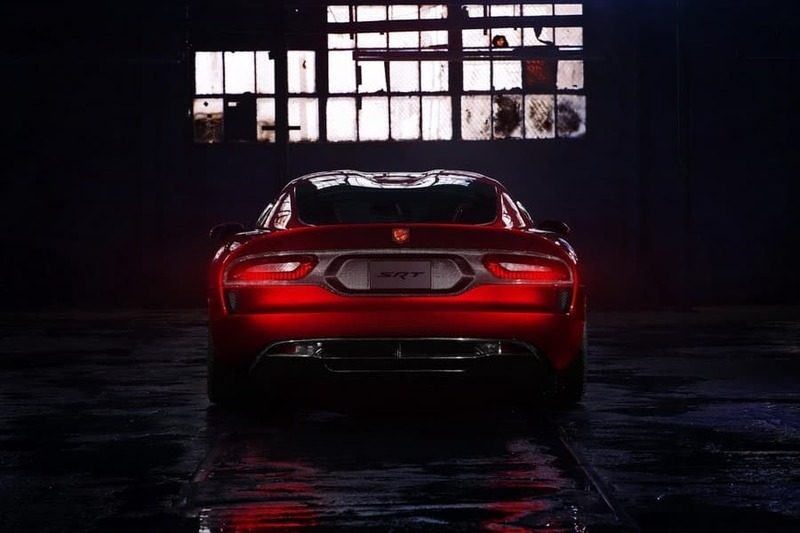 Superior craftsmanship, premium material appointments and performance-oriented technologies are evident throughout. 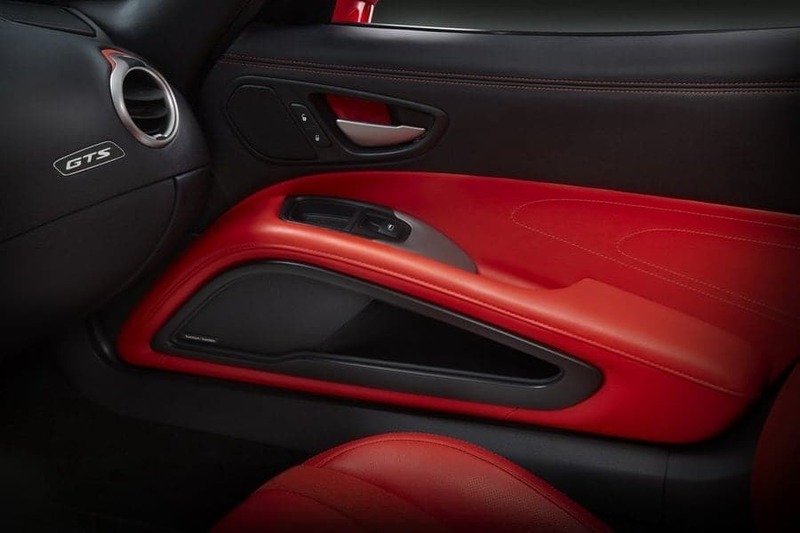 For the first time, all major interior surfaces are sewn and wrapped with additional padding applied in comfort areas. 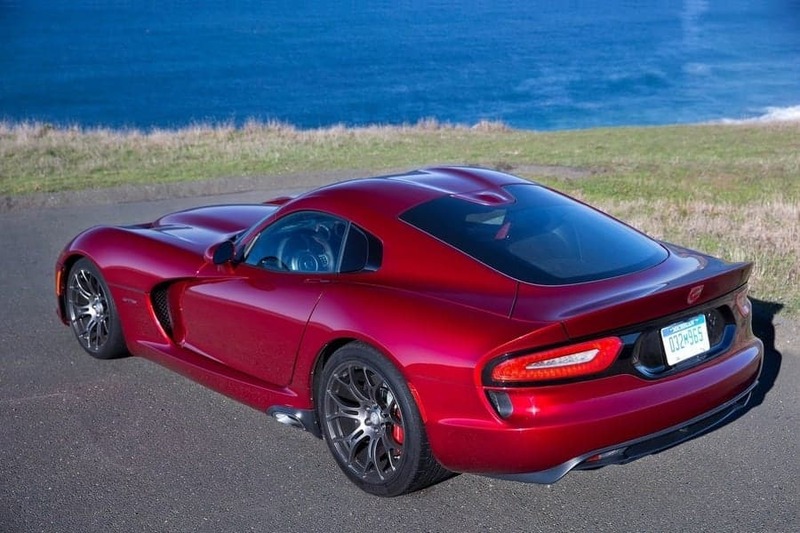 On the Viper GTS model, all surfaces are fully leather-skinned. 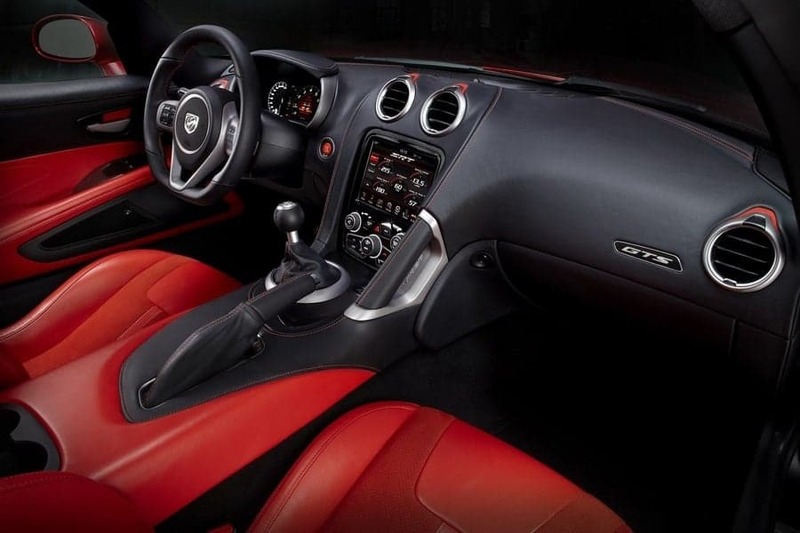 Standard accent colors are applied to the seats, doors, center console and stitching. 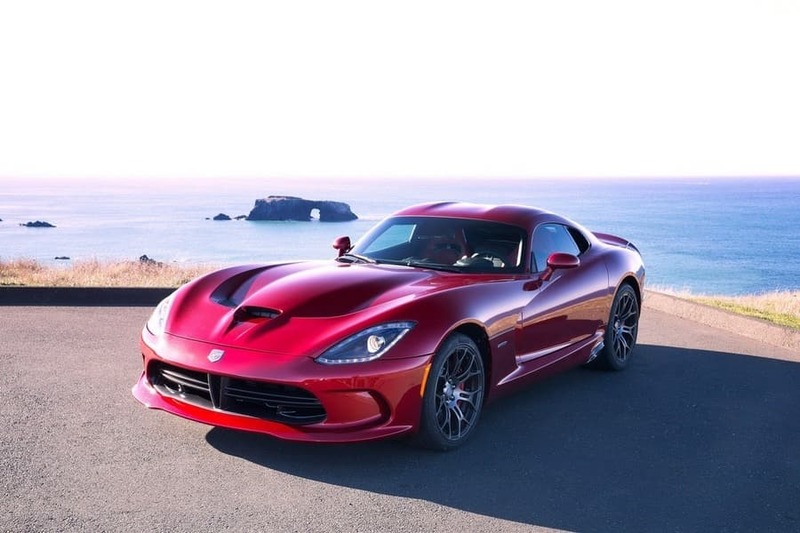 Quality fit and finish is showcased across the lineup by details such as the triple paint-finished gun-metal appliqués on the cluster bezel, HVAC outlets, window-switch bezels, shifter base, park-brake bezel and the integrated passenger grab-handle on the center console. 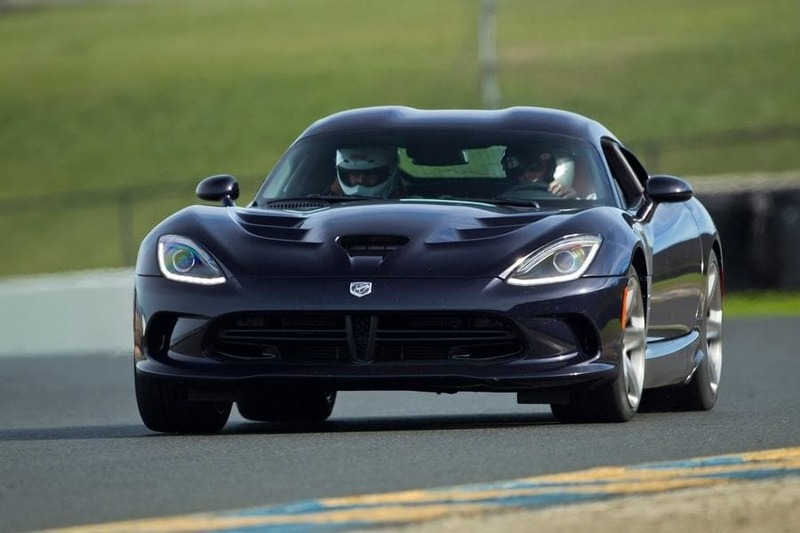 Standard high-performance racing seats from Sabelt feature a lightweight Kevlar/fiberglass shell created by a state-of-the-art resin transfer-molding technology for mass reduction and long-term durability. 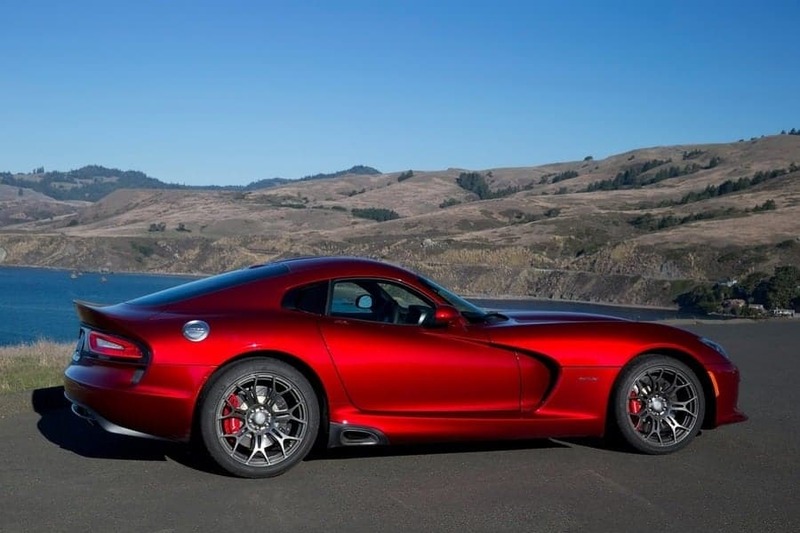 Both driver and passenger enjoy improved comfort from thigh support and deep side-bolsters designed to match the extreme lateral acceleration capabilities of the SRT Viper. 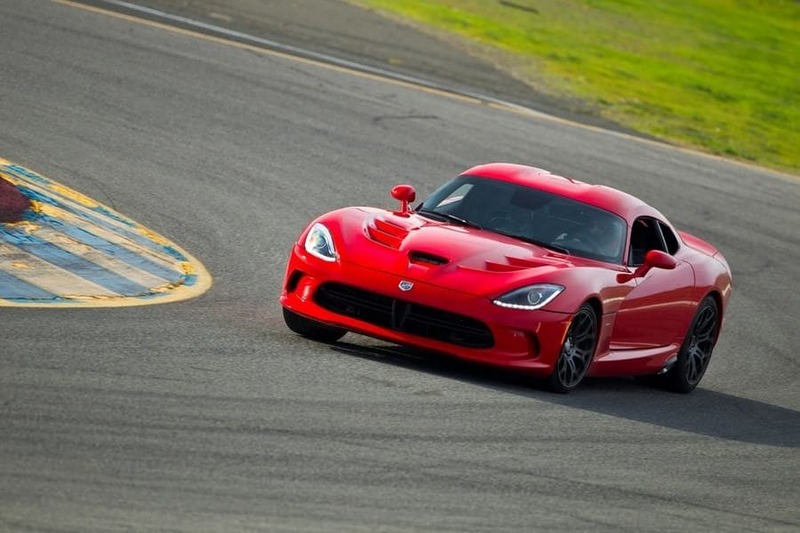 Seating positions in the 2013 SRT Viper models are 20 mm lower for more room and enhanced performance-driving ergonomics. 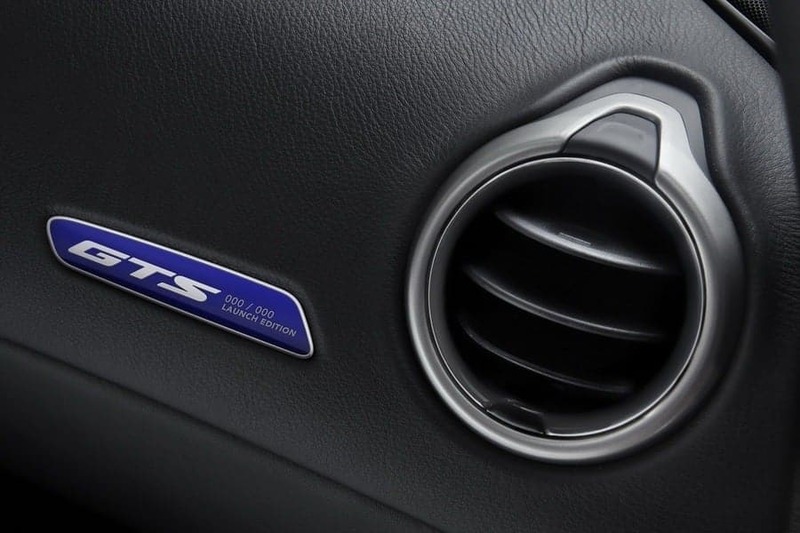 Seat travel is extended by 90mm overall, which enables expanded seating options from a more rearward positioned bulkhead. 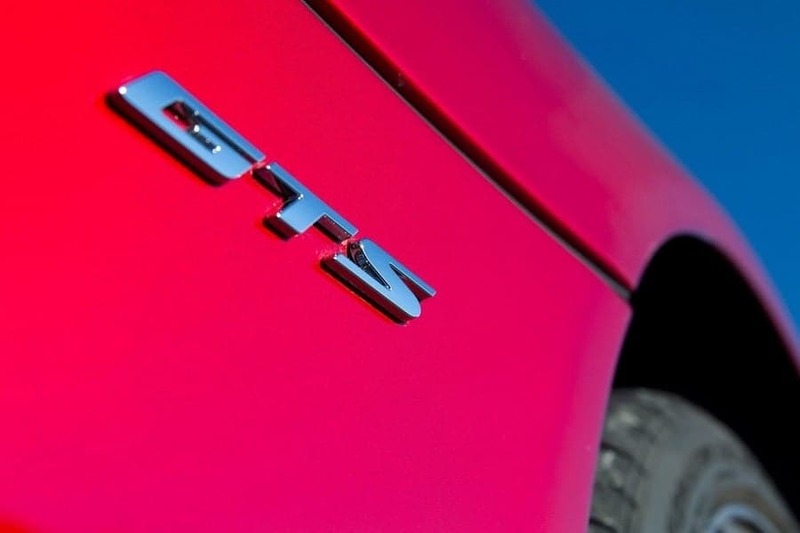 For the first time, seat height can be adjusted by up to 40 mm – manually on the SRT model and power-controlled on the GTS. 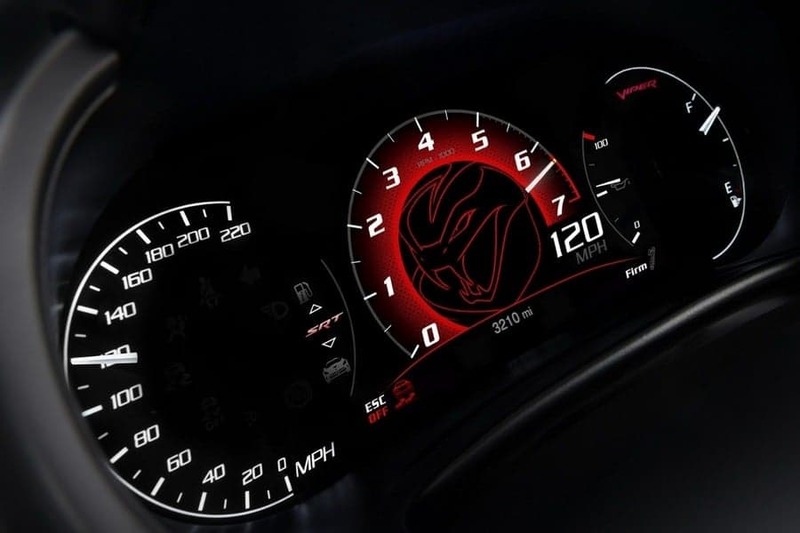 A 7-inch, full-color, customizable instrument cluster – with its full-time analog tachometer – is designed specifically for the 2013 SRT Viper. 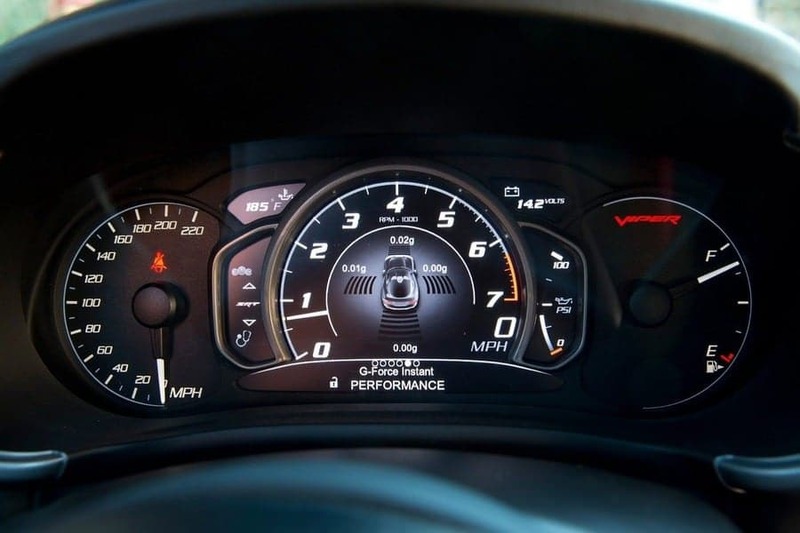 The new customizable instrument cluster provides an unmatched presentation of the exclusive SRT Performance Pages’ statistics and feedback to the driver, including 0-to-60 mph; 0-to-100 mph; eighth- and quarter-mile elapsed times; braking distance; instant g-force measurement readouts and top-speed performance. 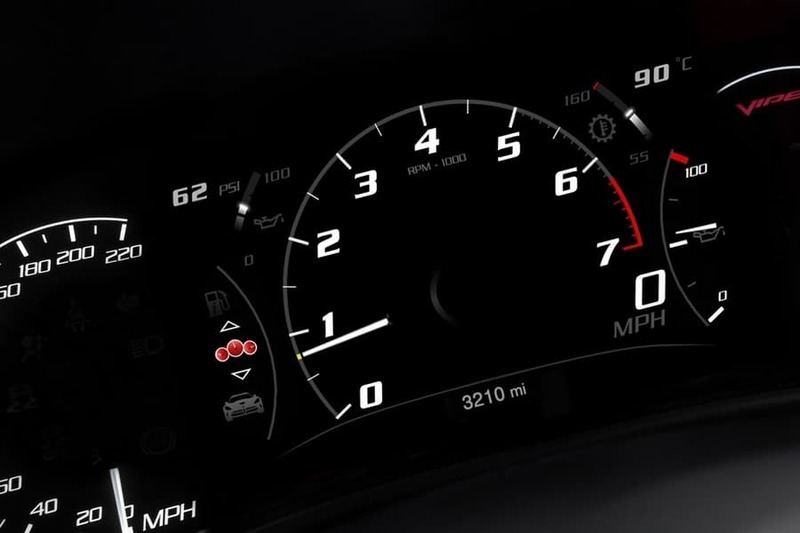 The 8.4-inch Uconnect radio doubles as a display for SRT Performance Pages content, such as quarter-mile elapsed time and speed. 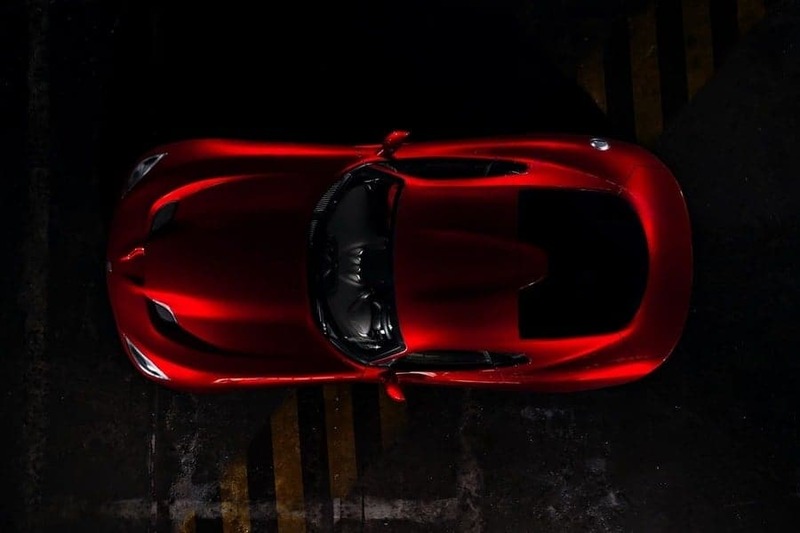 Data also can be stored for future reference. 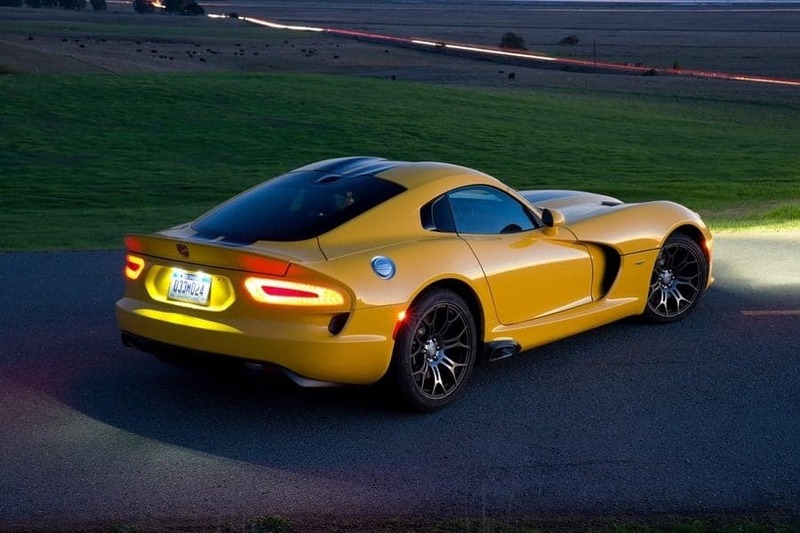 The 2013 SRT Viper lineup features the new Uconnect Access in-vehicle connectivity system that links drivers to emergency services, as well as richer information and entertainment options – all via improved graphics. 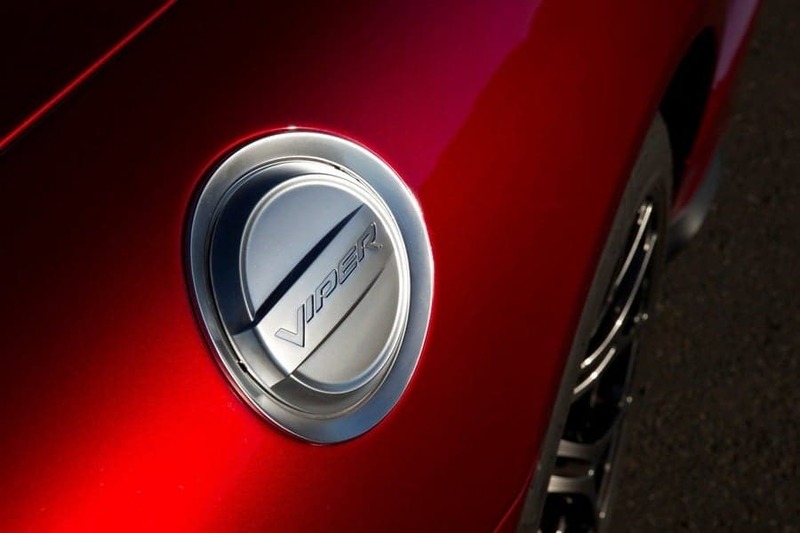 Viper customers can choose between two Uconnect Media Centers – Uconnect 8.4A and Uconnect 8.4AN – which provide a range of new features and multiple ways to control media. 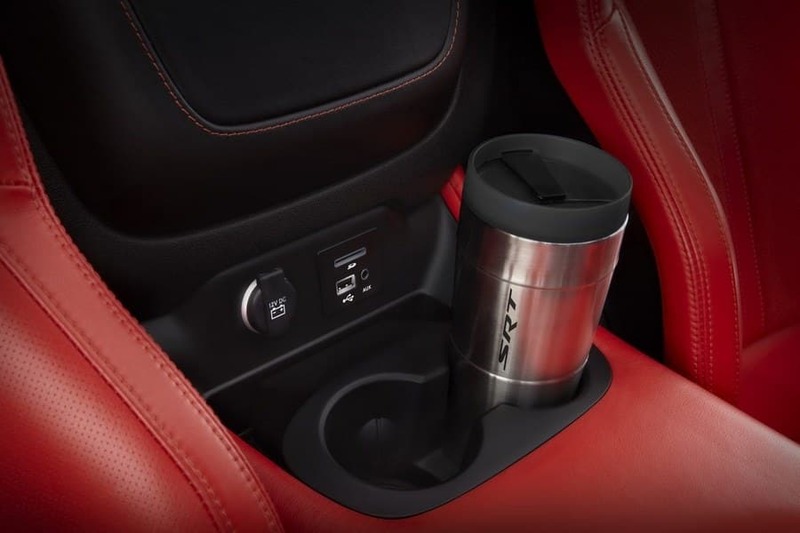 The system balances the convenience of an 8.4-inch touchscreen with the reassurance of tactile knobs for common functions such as radio tuning volume adjustment. 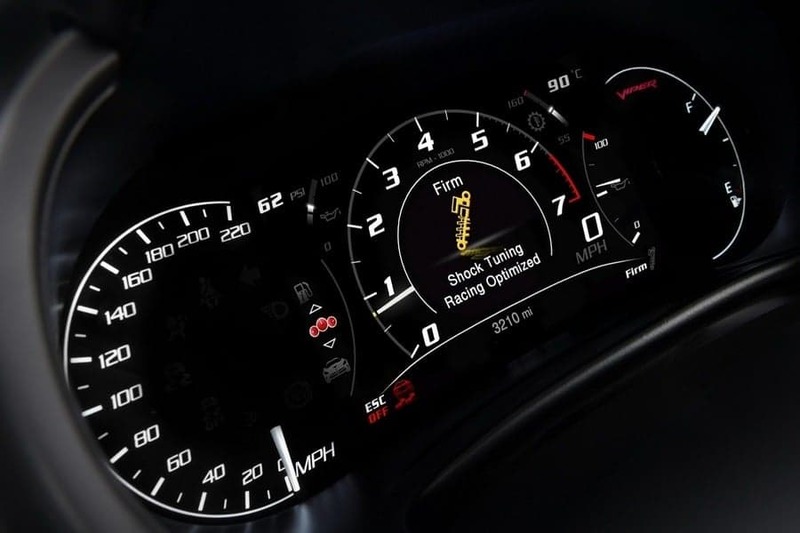 Touchscreen buttons along the bottom of the screen enable easy access to the radio, climate controls, navigation and phone. 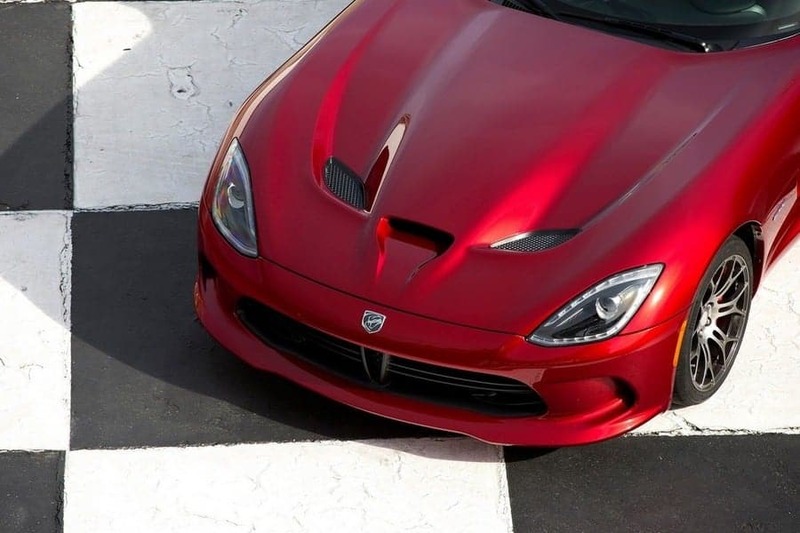 Breakthrough voice-text capability is enabled via voice command. 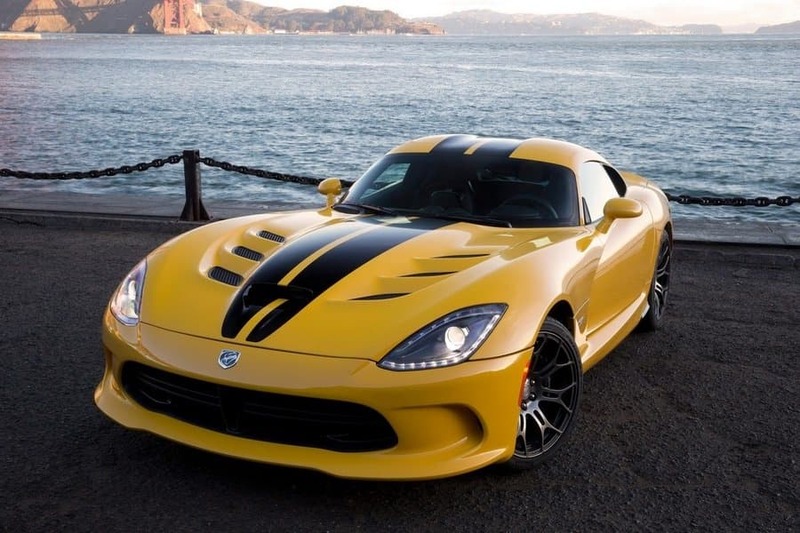 Leveraging Chrysler Group’s partnership with Sprint, the driver can access cloud-based voice recognition technology that converts the spoken word into verbatim text messages. 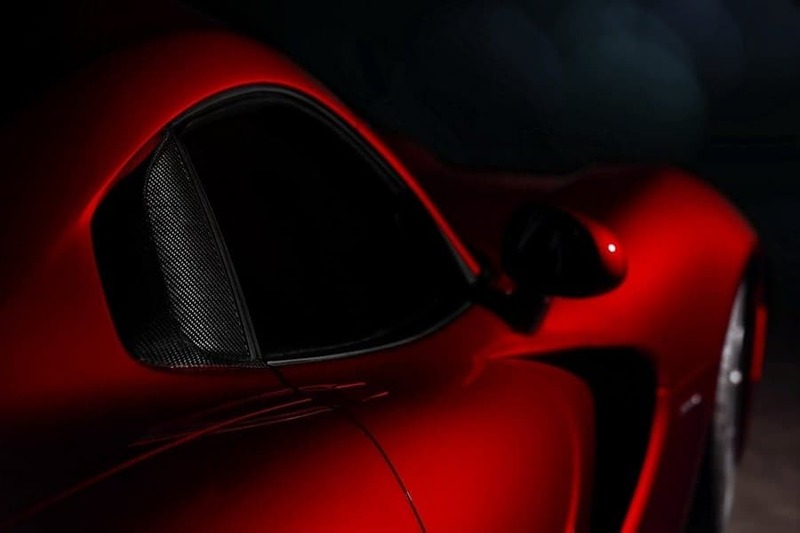 Communication is limited only by the user’s vocabulary – no need to let go of the steering wheel or learn lists of “canned” responses, as required by competitive systems. 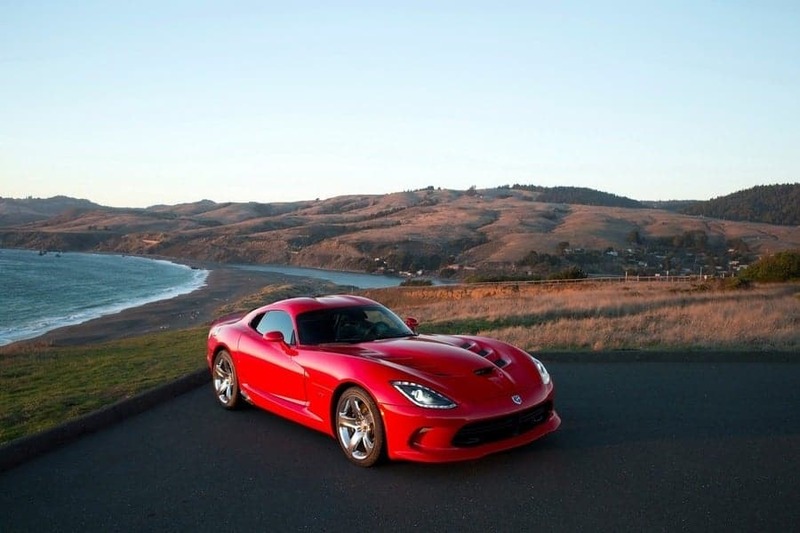 Not sure where you need to go? Ask Bing. 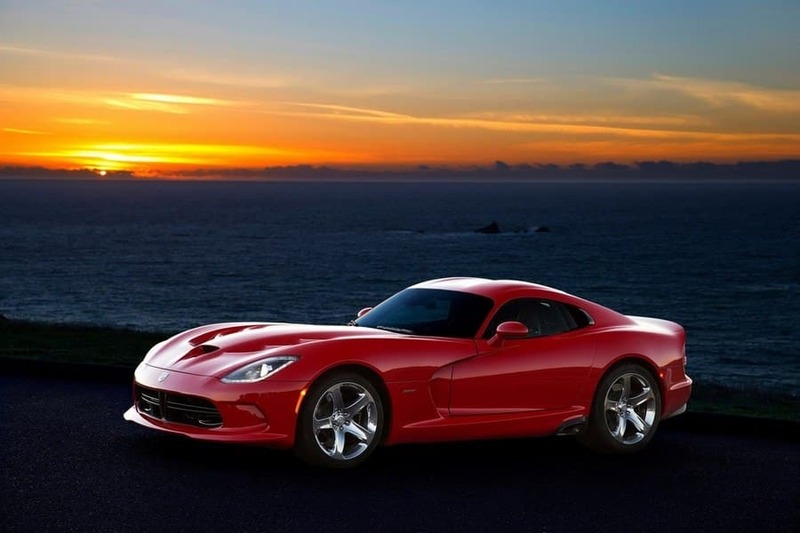 The powerful search engine will find restaurants, theaters, airports and other landmarks. Choose a destination and Uconnect Access will plot a route on command. 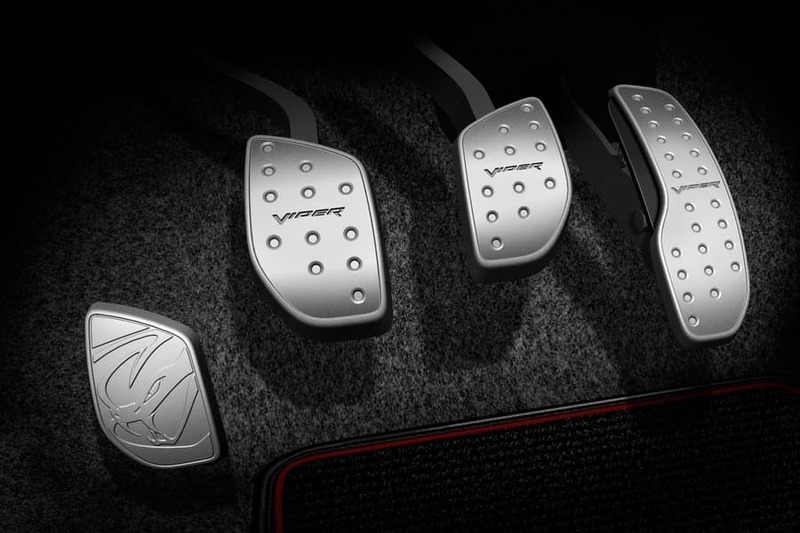 Once behind the wheel, its sculpted contours welcome a driver’s grip. 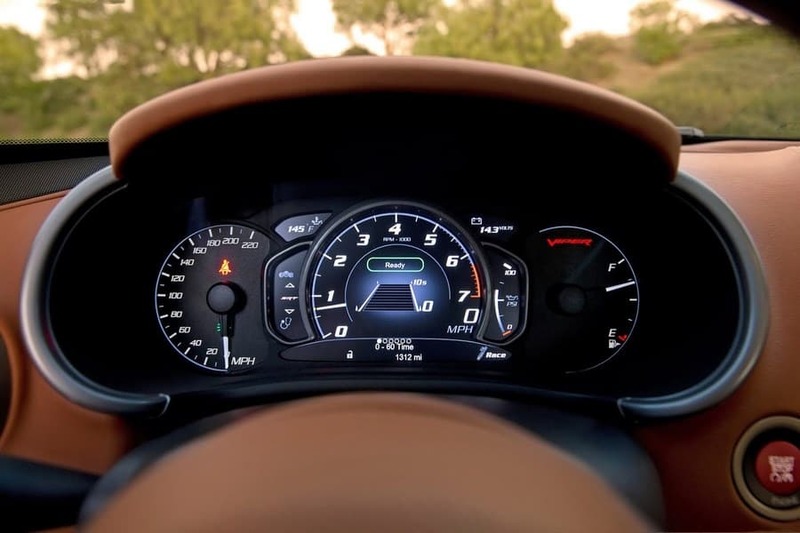 The steering wheel also is home to a host of finger-tip mounted controls for audio, Uconnect features and launch control. 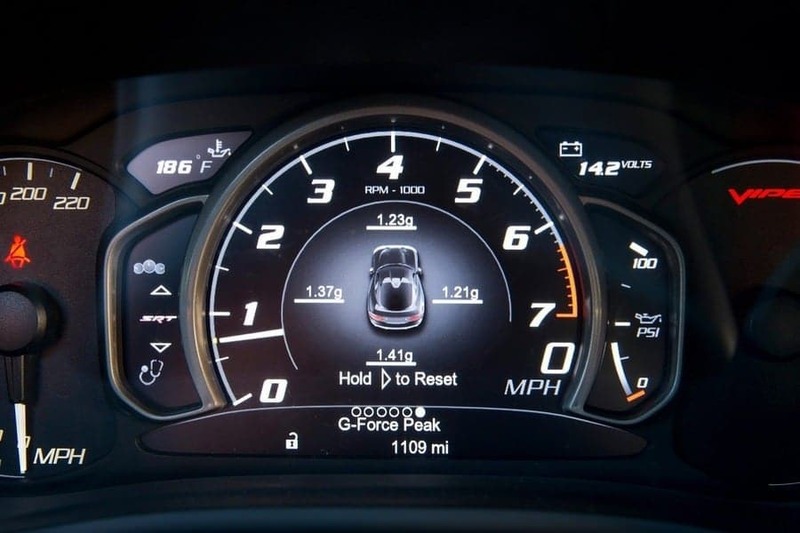 An expanded SiriusXM channel lineup is available on both Uconnect systems and includes programming exclusive to Chrysler Group, including the new SiriusXM Latino channels, an auto industry first. 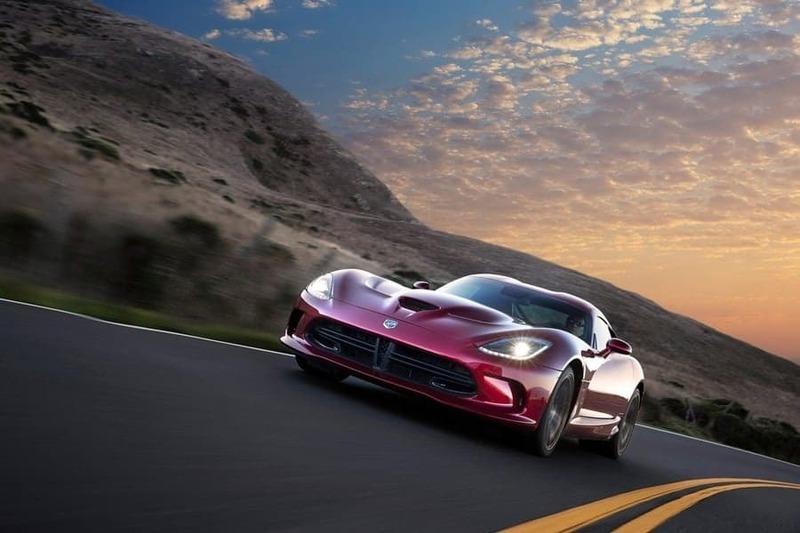 A range of Harman Kardon surround-sound systems are available across the SRT Viper lineup that features the latest in audio system technology. 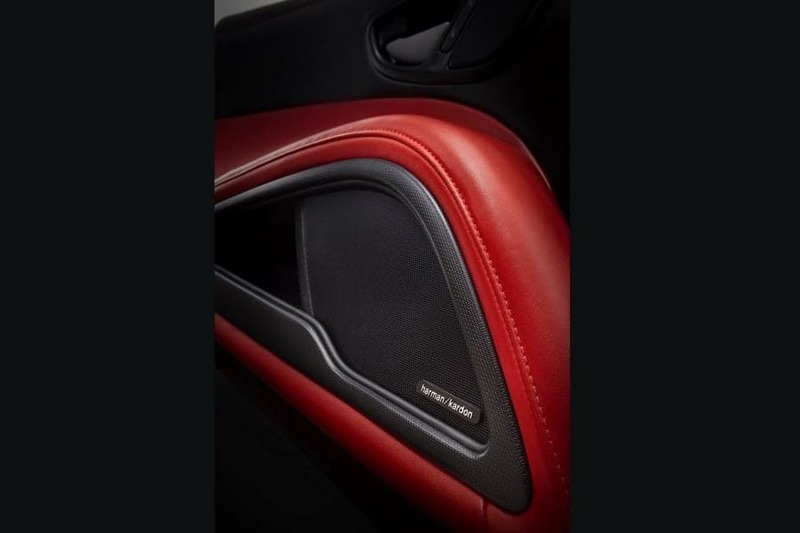 All Harman Kardon audio systems include a high-voltage class D amplifier with tracking power supply and up to 12 channels of amplification. 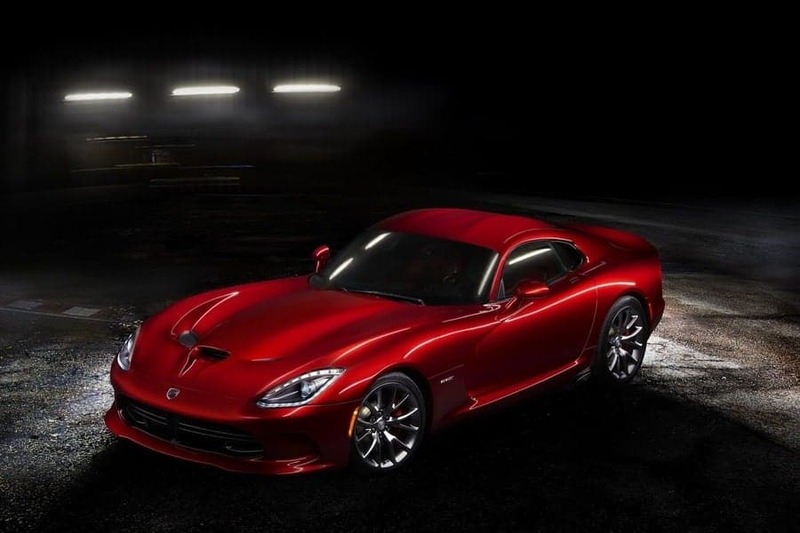 The Harman Kardon system with exclusive Logic 7 surround-sound processing is available in the Viper GTS model with a total of 18-speakers, including four subwoofers located behind the seats. 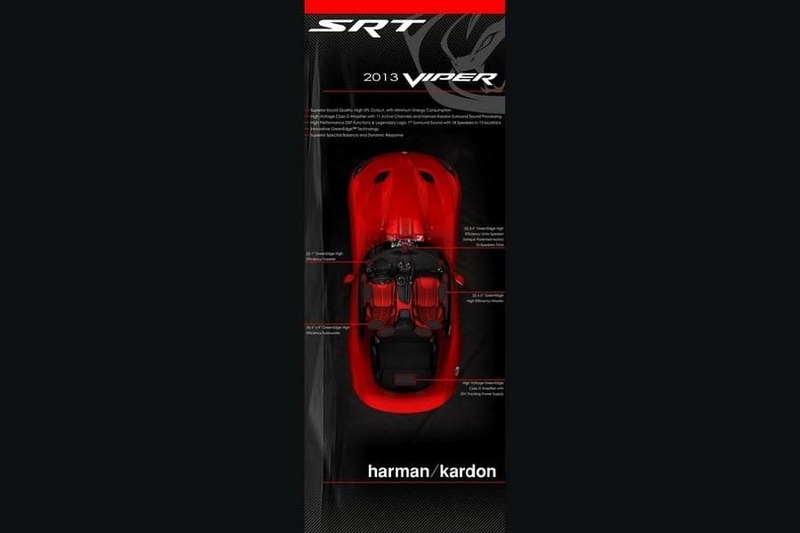 All Harman Kardon systems in the 2013 SRT Viper lineup include high-performance, high-efficiency GreenEdge technology loudspeakers that are extremely light and include rare earth magnets. 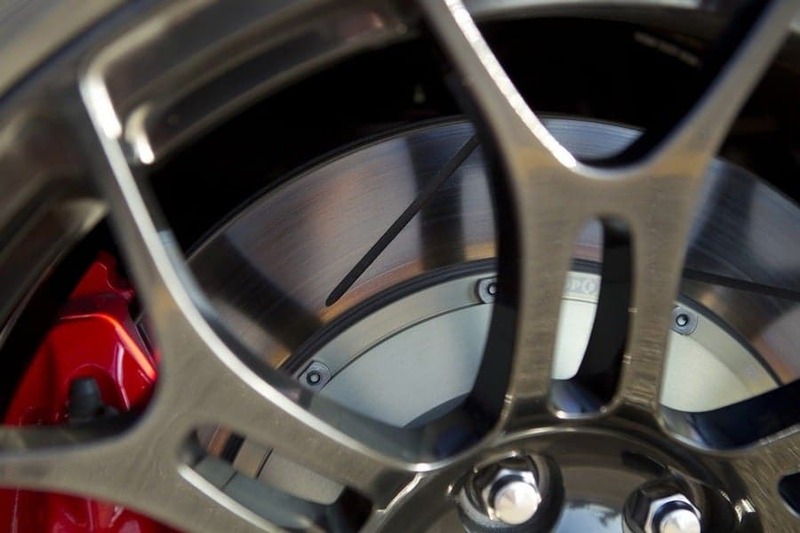 The magnets inside each speaker ensure efficient speaker operation and enhanced performance. 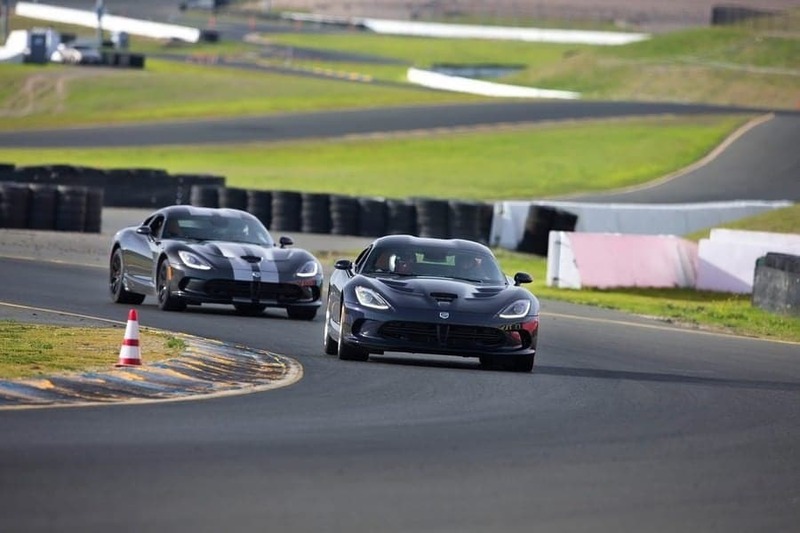 The audio system is powered by a 35-volt tracking power supply – so the new and improved sound system achieves more than double the acoustic power of the current system. 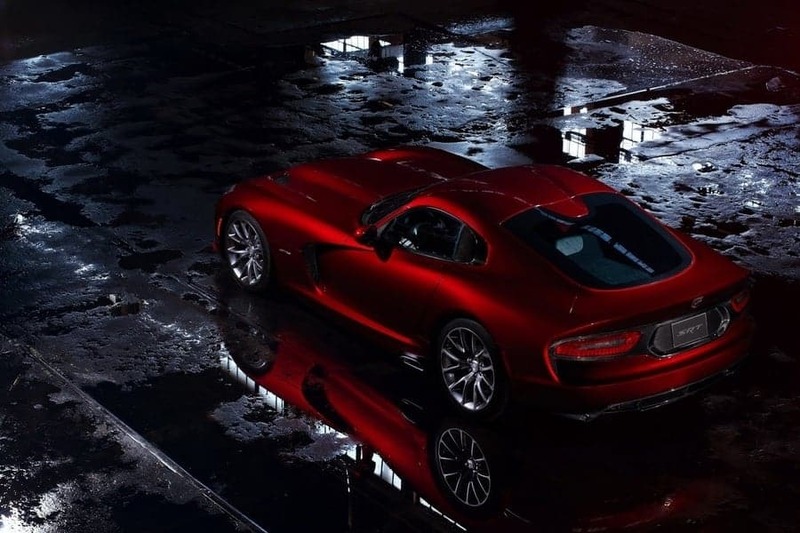 All-new carbon-fiber hood, roof, decklid and aluminum door panels are firsts for SRT Viper models resulting in significant weight reduction, improved high-speed stability and a .369 drag coefficient while still achieving negative lift. 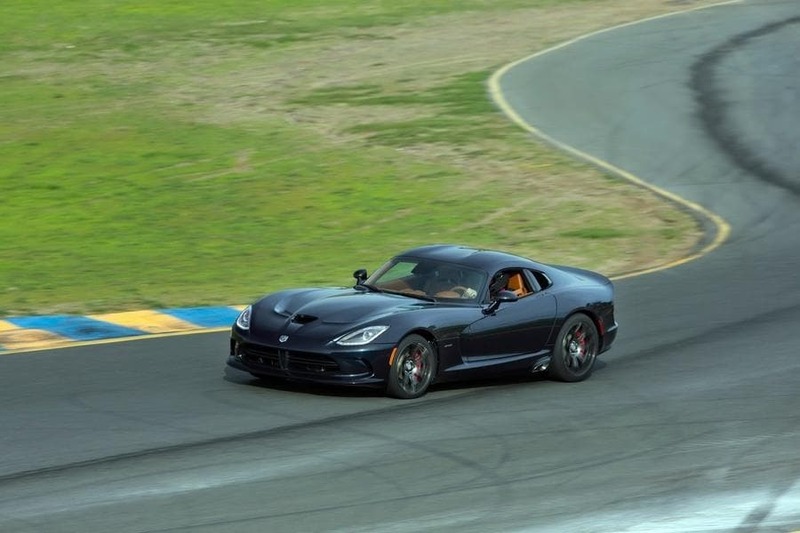 The five-spoke, forged-aluminum “Rattler” wheel design on the 2013 Viper model is available with fully polished (standard), fully painted Hyper Black or fully painted Matte Black finishes. 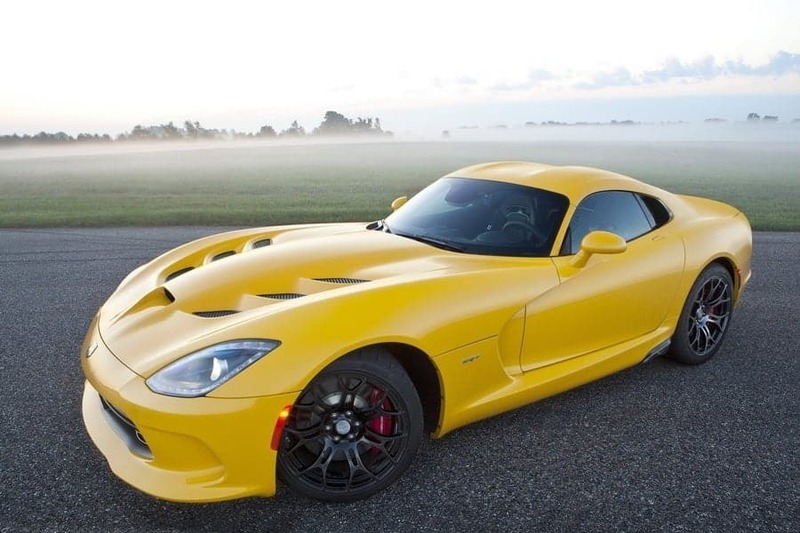 For 2013, a mixture of classic Viper exterior paint shades have been reformulated, while new colors are also being introduced during a multistage painting process that results in show-car like finishes. 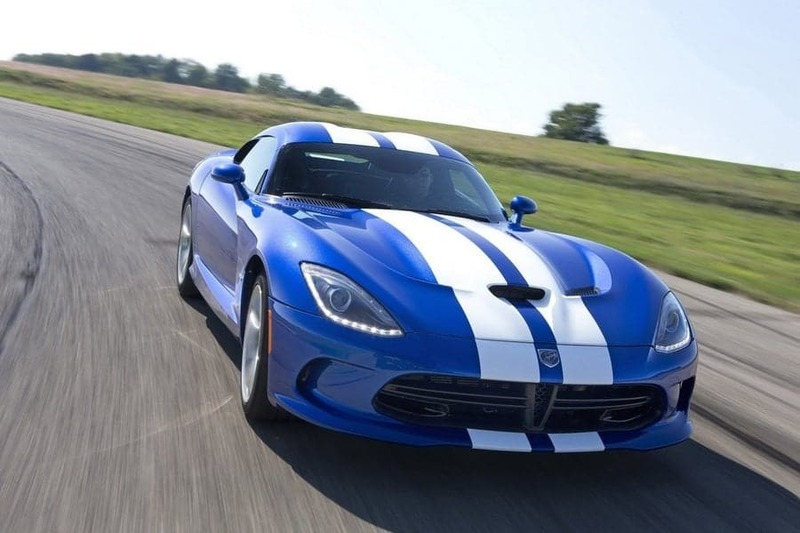 Six exterior color choices are offered on the SRT Viper models including: Adrenaline Red, Venom Black, Bright White, Gunmetal Pearl, Race Yellow and Shadow Blue Pearl. 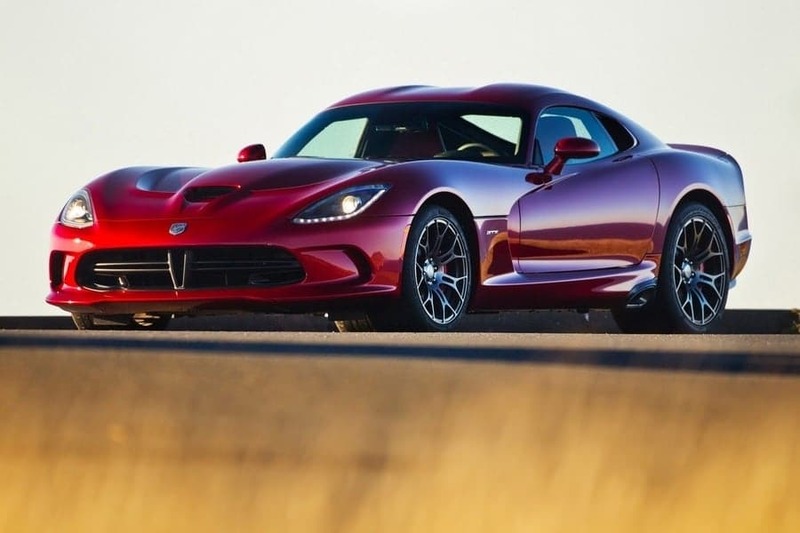 The SRT Viper GTS model receives an expanded exterior color palette with the availability of Stryker Red Tri-Coat Pearl and GTS Blue. 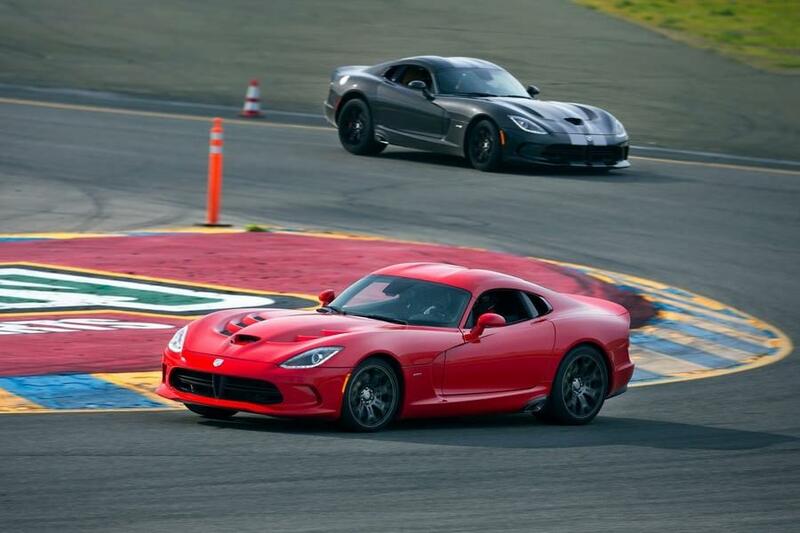 Two distinctive body stripe configurations are offered. 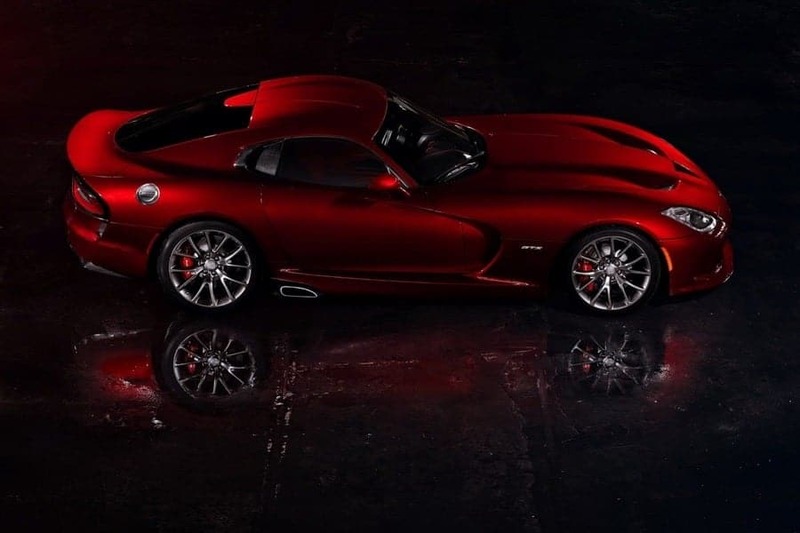 The SRT Viper is available with a pair of tapered stripes starting on the clamshell hood and making their way onto the roof and finishing on the rear hatch. 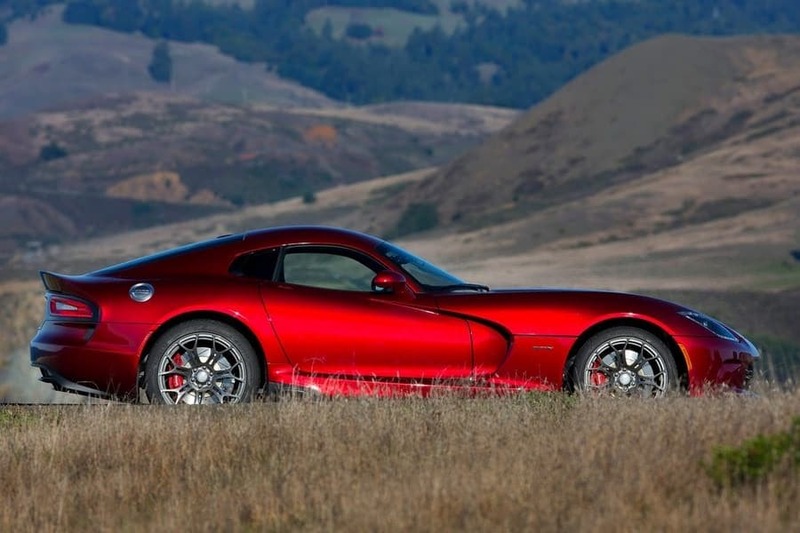 The SRT Viper GTS model is available with a pair of wide stripes running the length of the coupe from front to rear fascia. 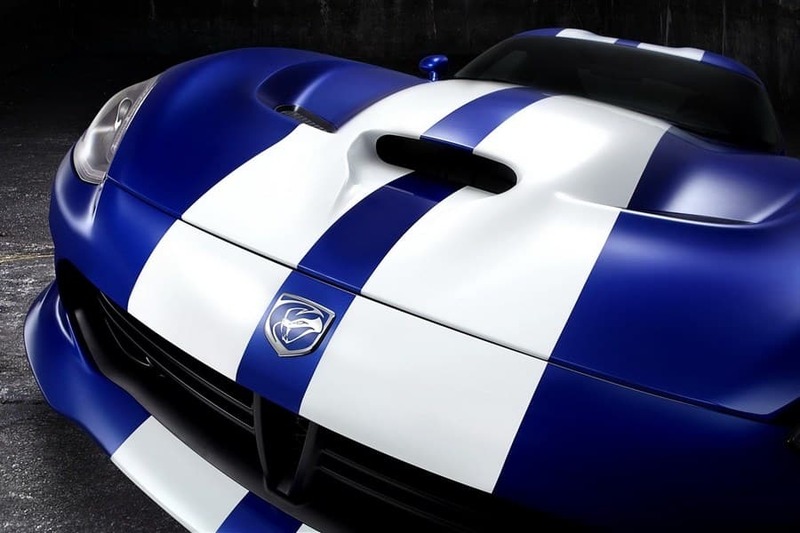 Both stripe configurations are expertly applied in the paint booth before the main body color. 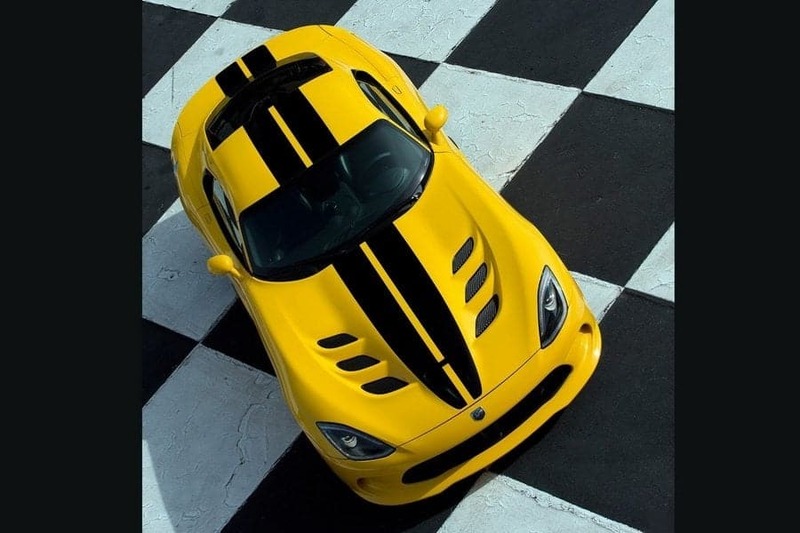 Only after the paint is cured, a final clear coat is used to ensure the stripes are an integral part of the finished product. 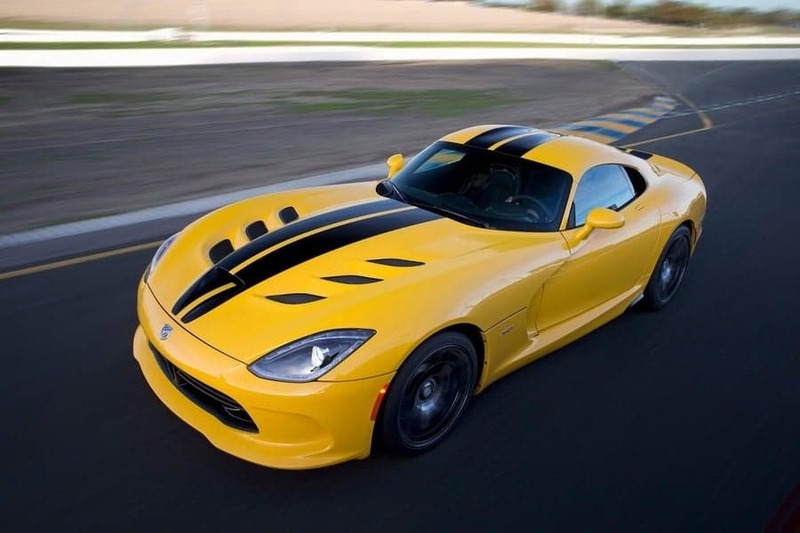 Exterior stripe color packages include: Black Venom, Billet Silver and Gunmetal Pearl. 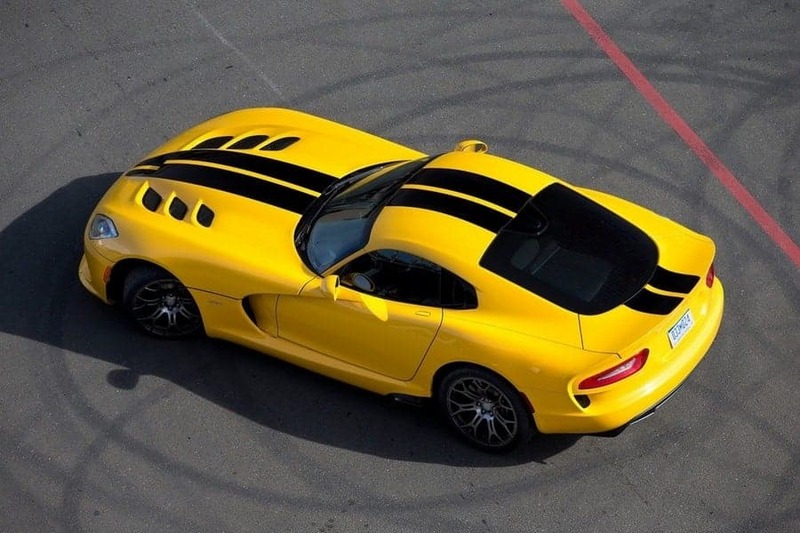 Bright White body-length stripes are being used exclusively on the 2013 SRT Viper GTS Launch Edition model. 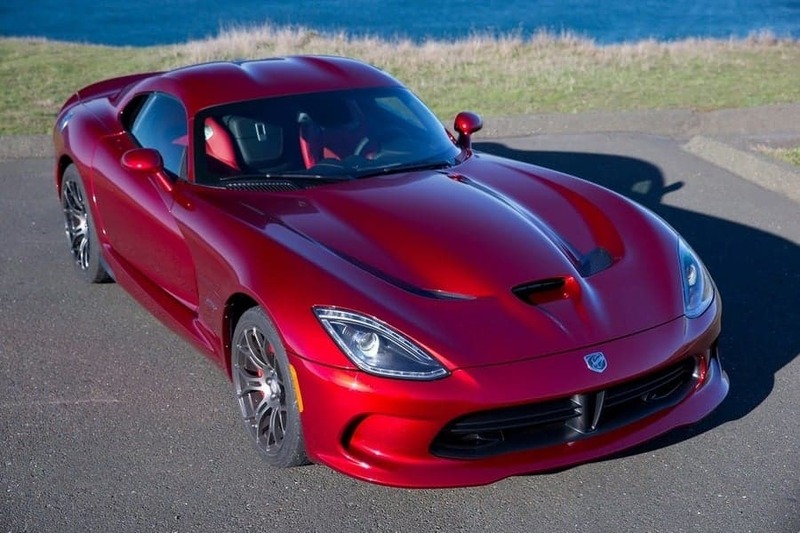 Manufacturer’s suggested retail price (MSRP) for the 2013 SRT Viper model is $97,395 (excluding $1,995 destination), while MSRP for the 2013 SRT Viper GTS model is $120,395 (excluding $1,995 destination).